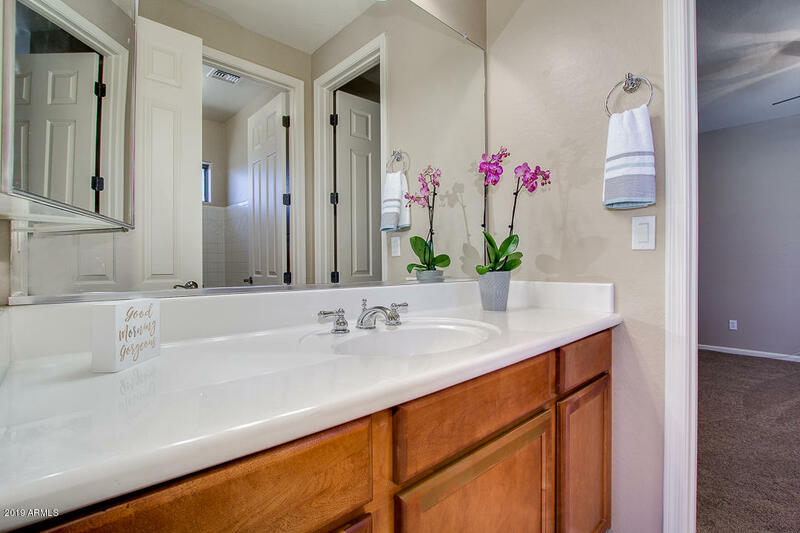 ALL THE BELLS & WHISTLES! 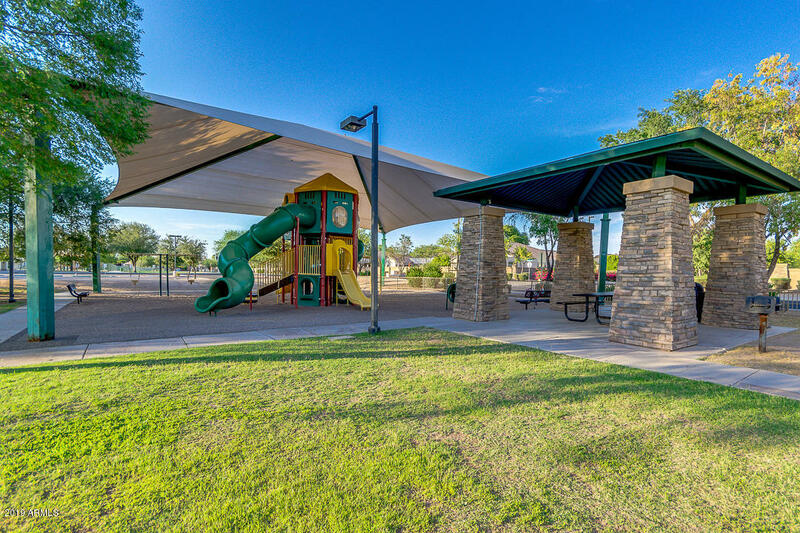 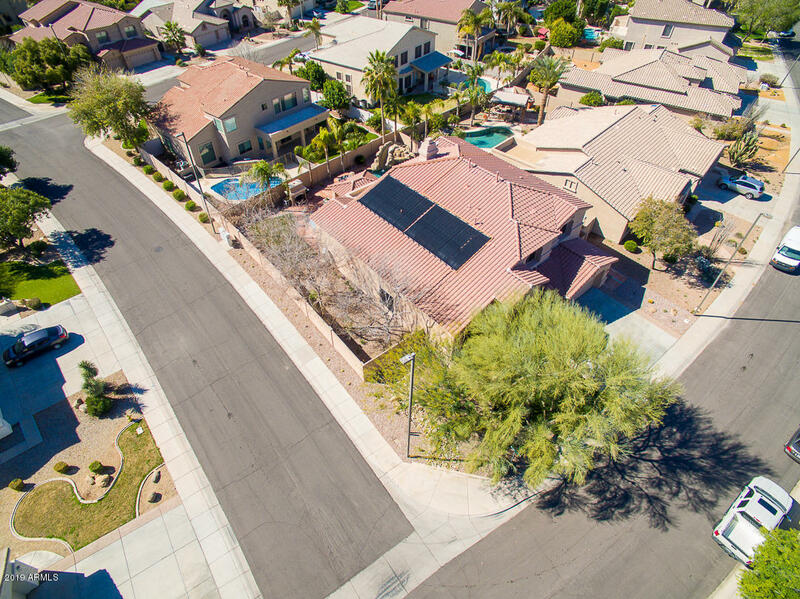 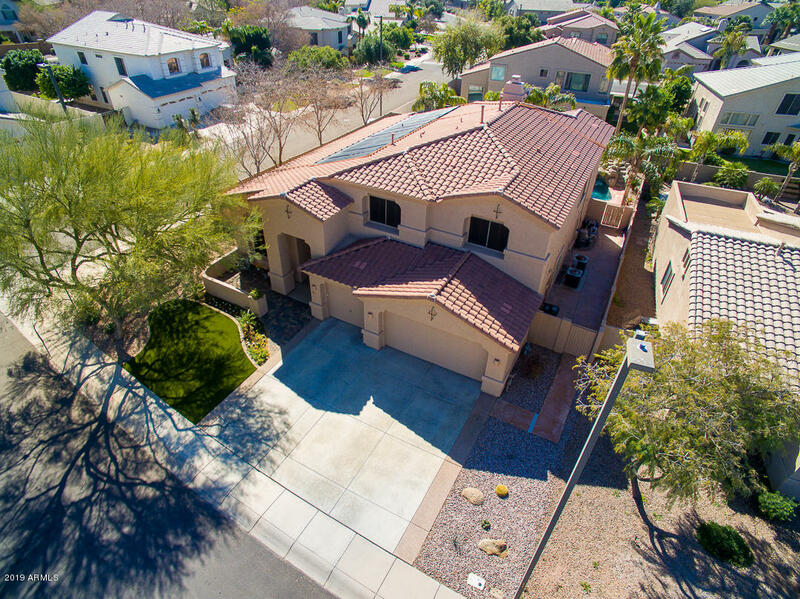 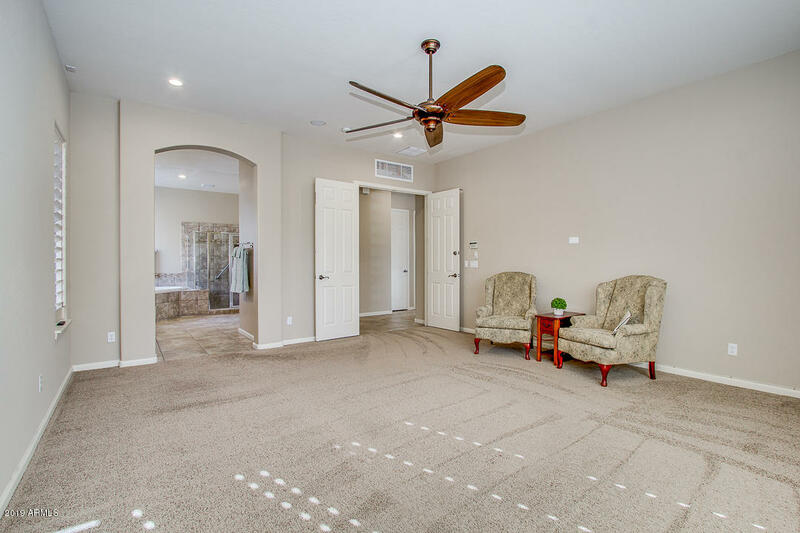 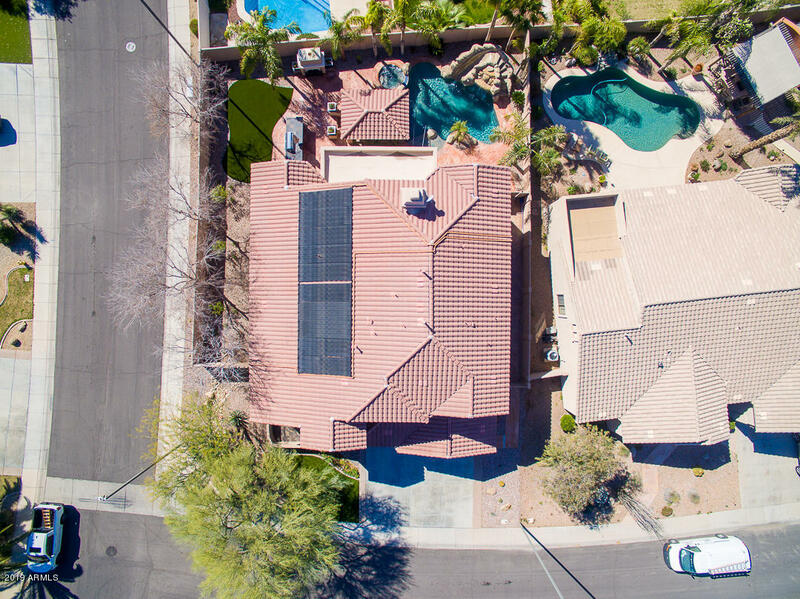 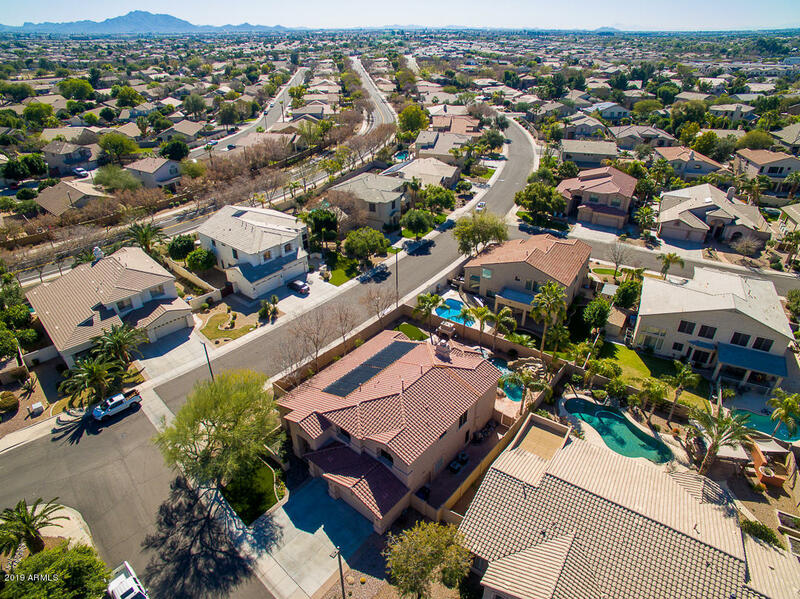 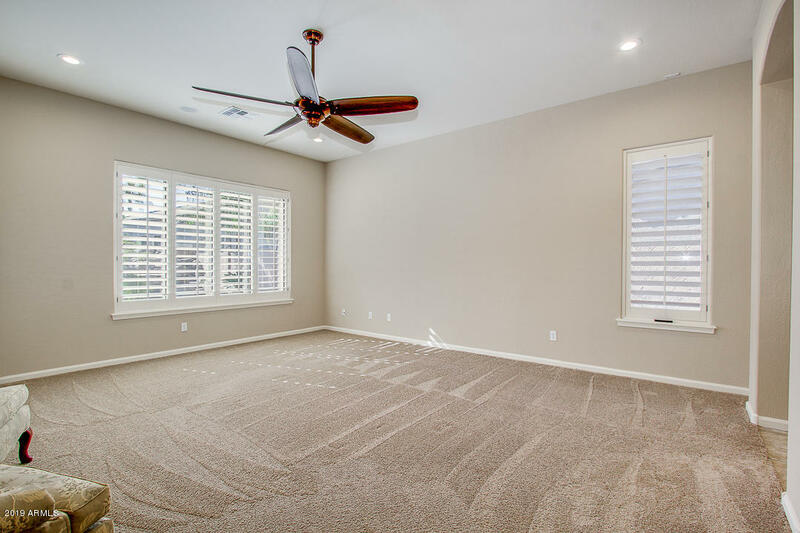 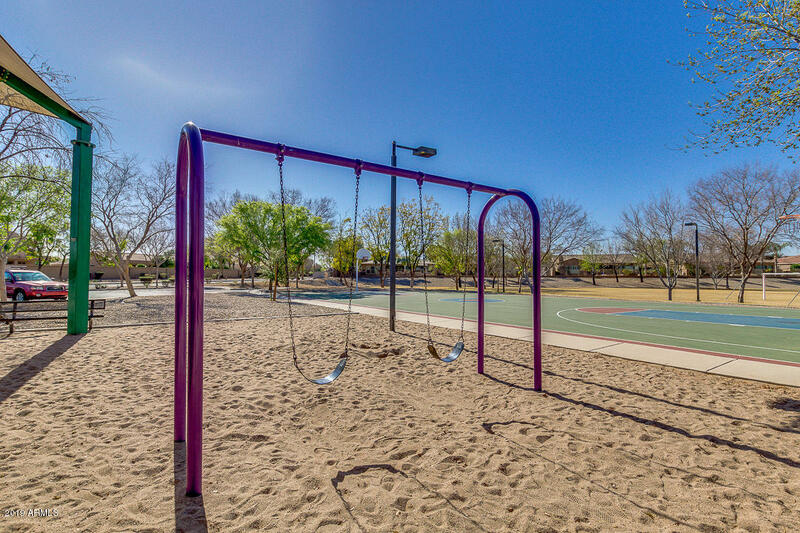 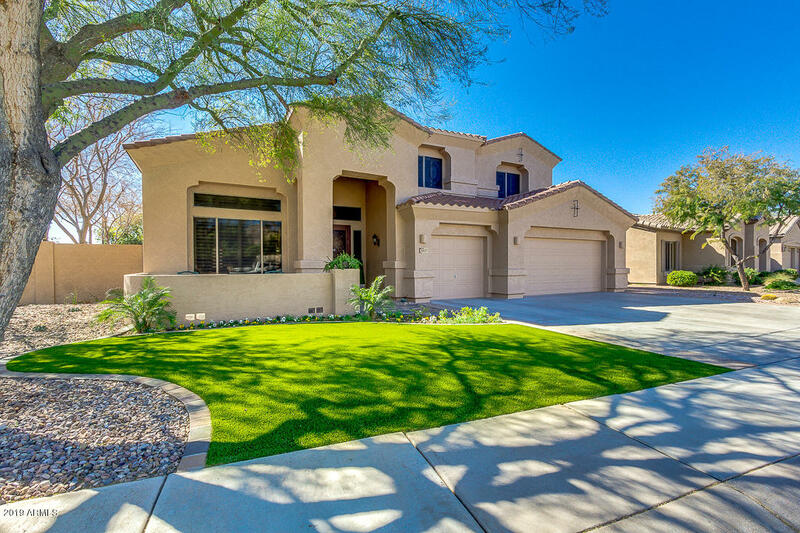 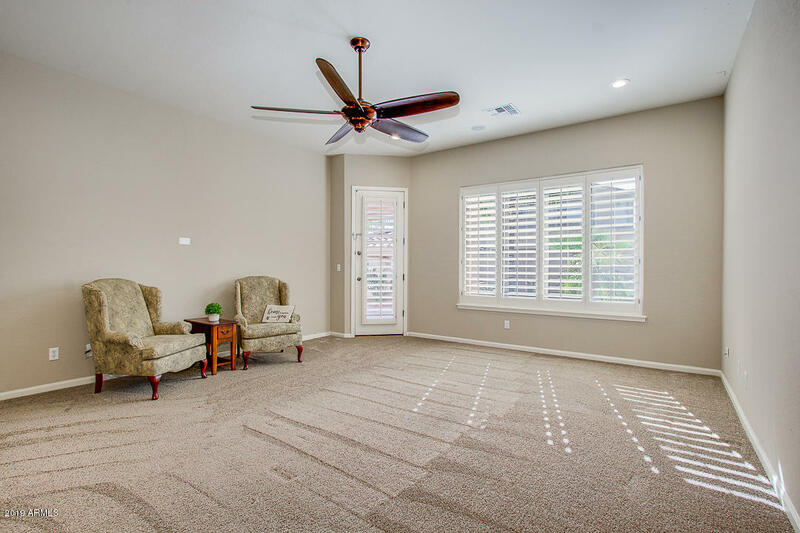 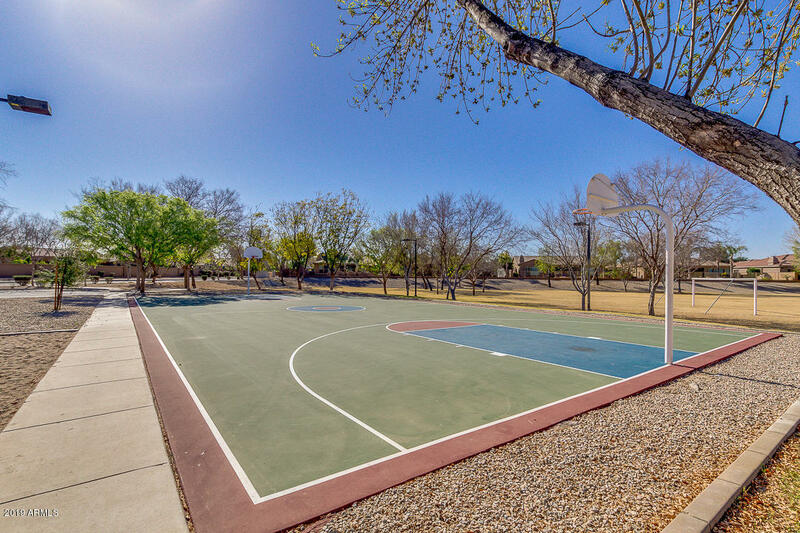 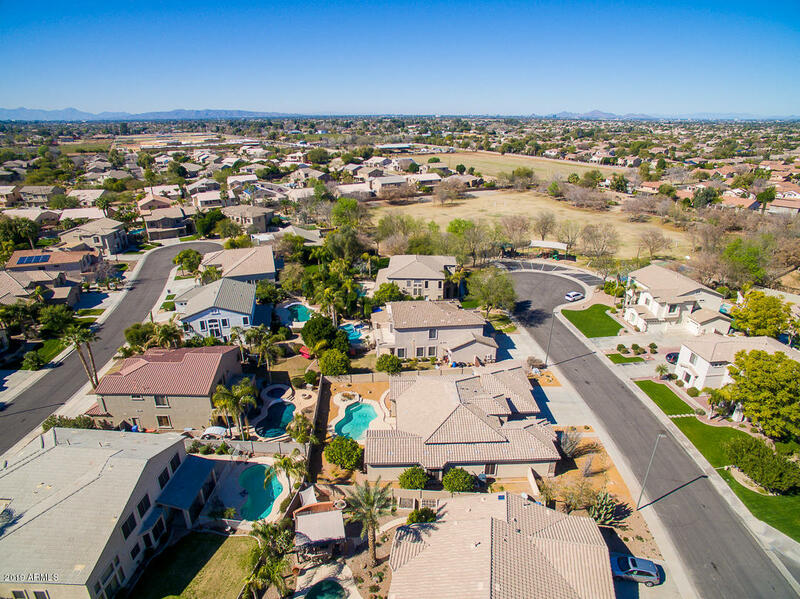 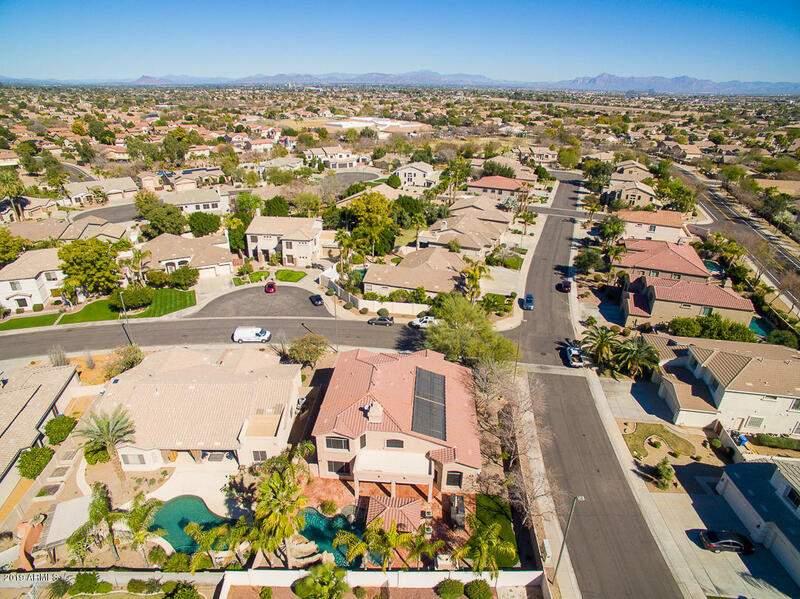 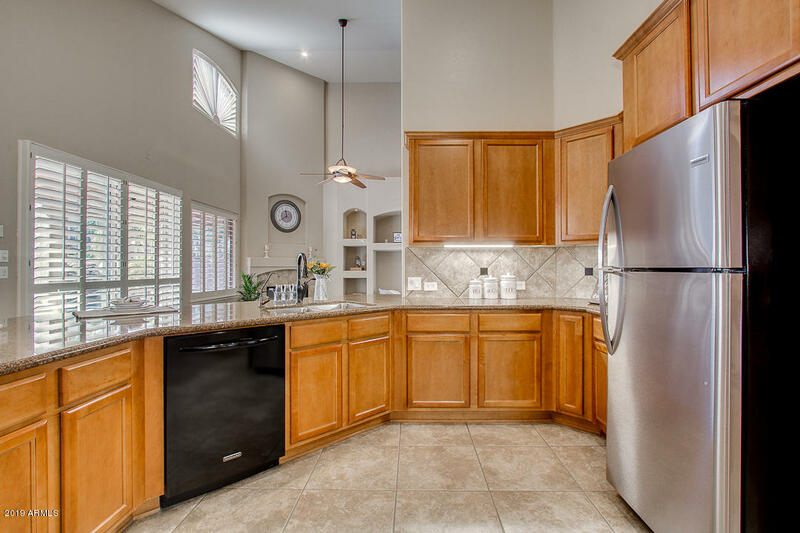 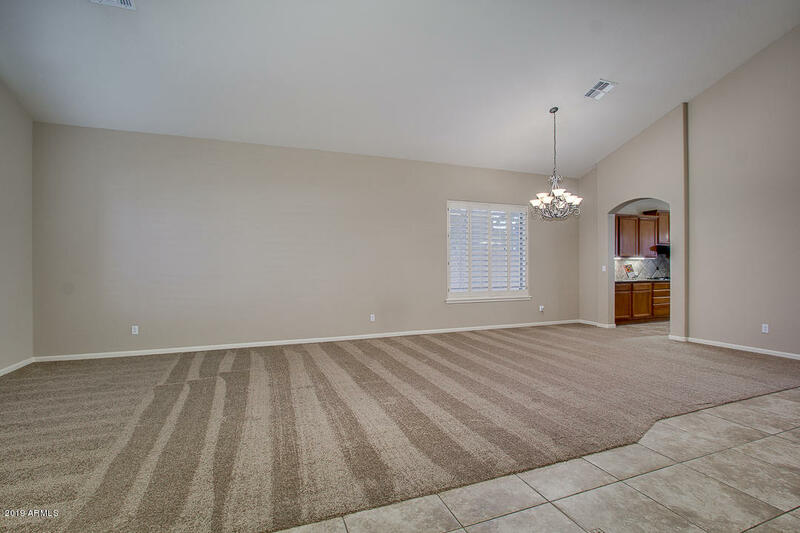 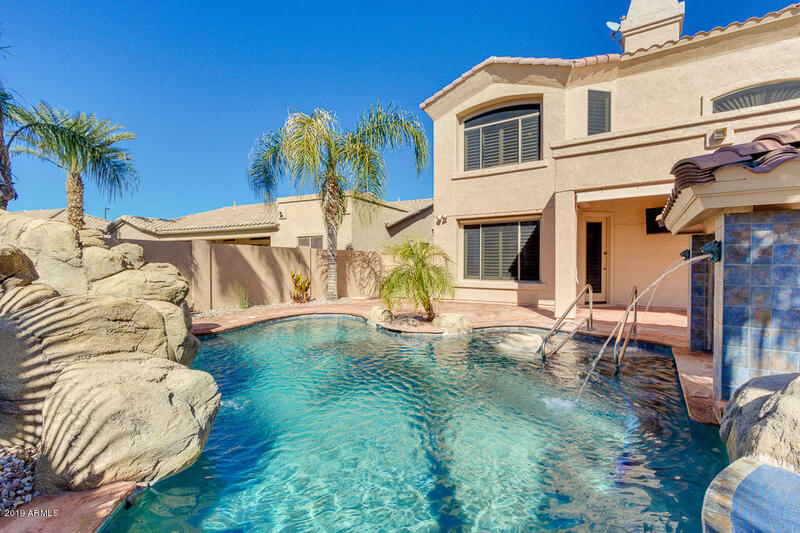 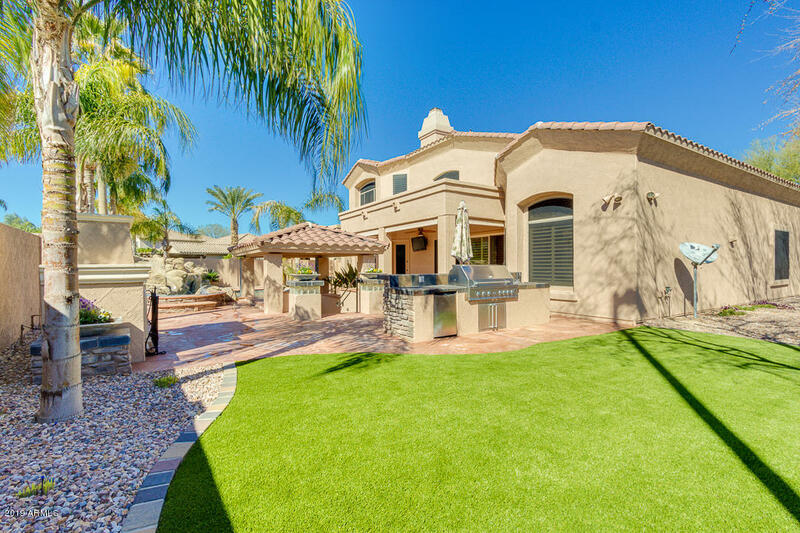 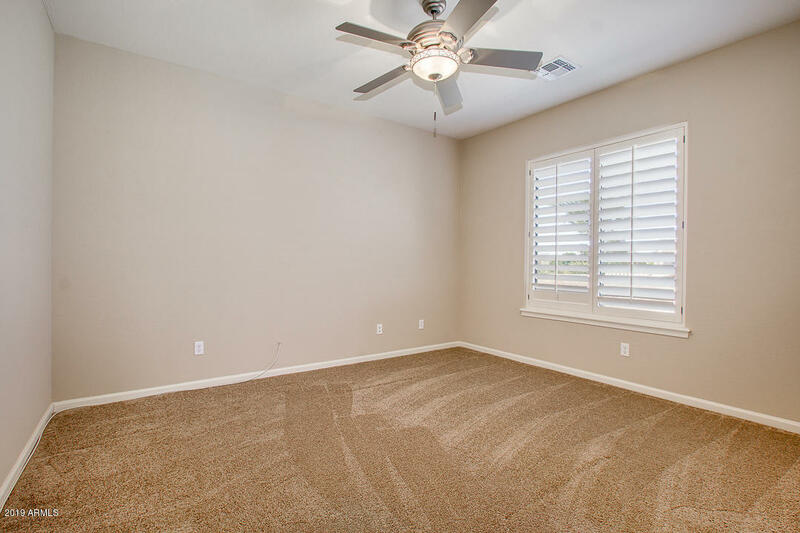 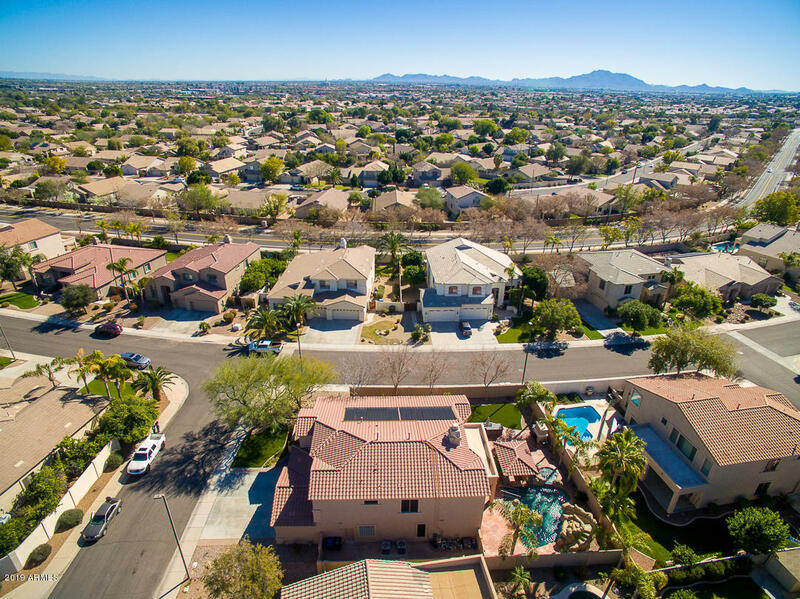 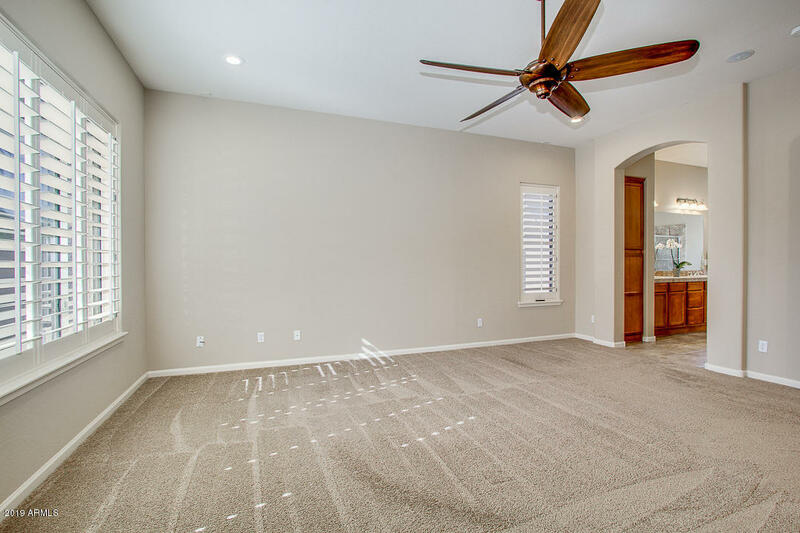 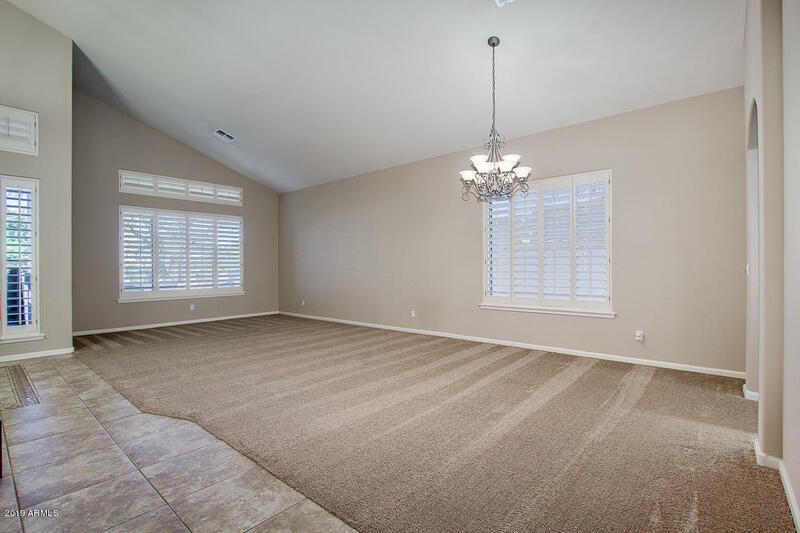 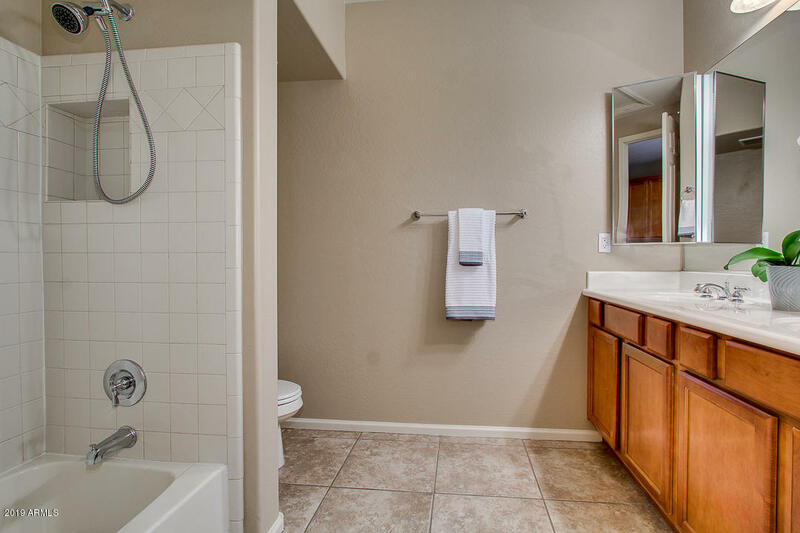 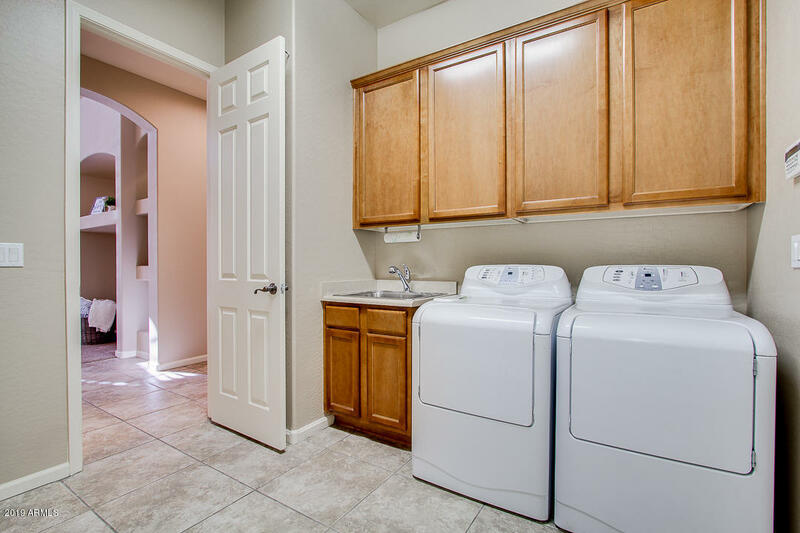 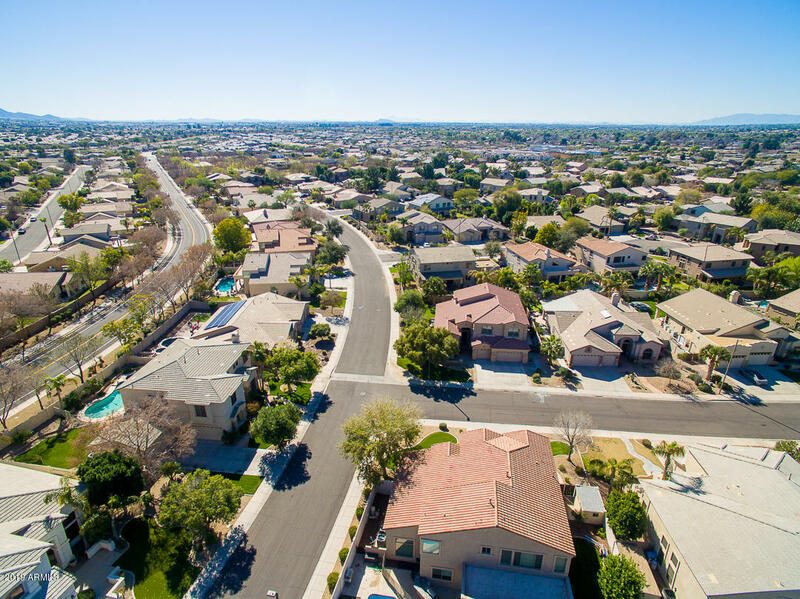 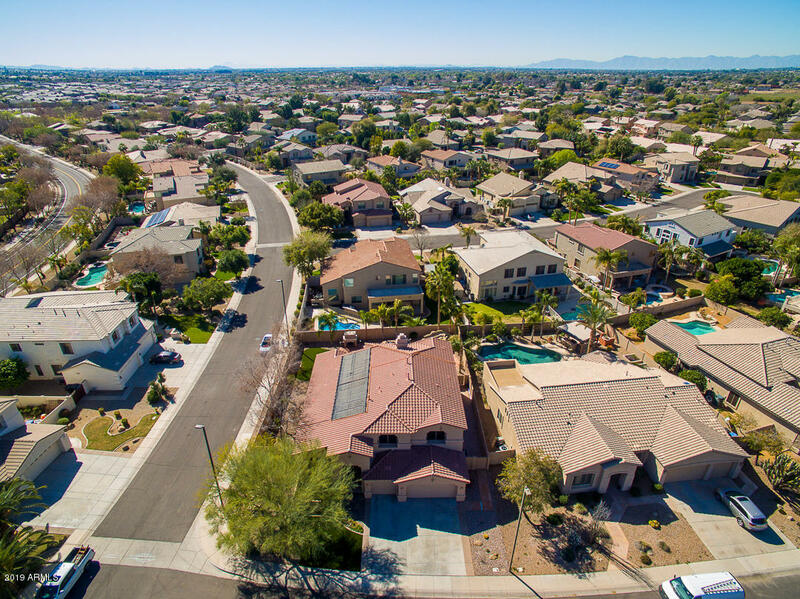 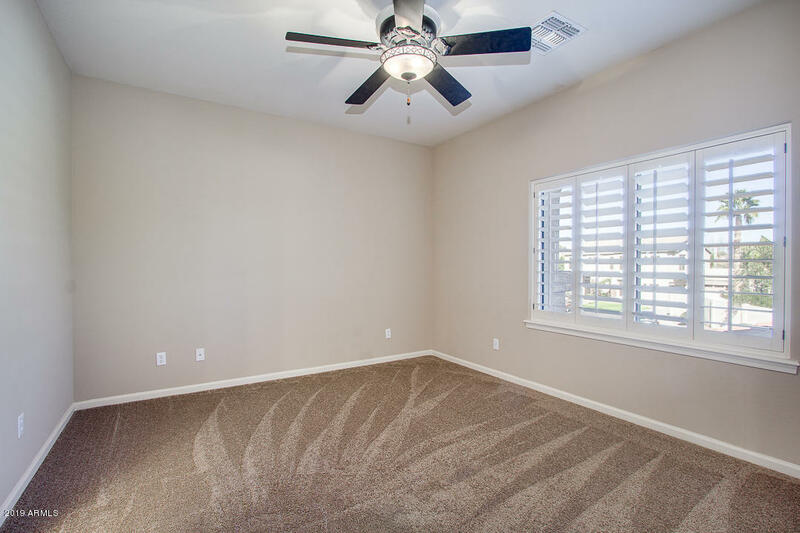 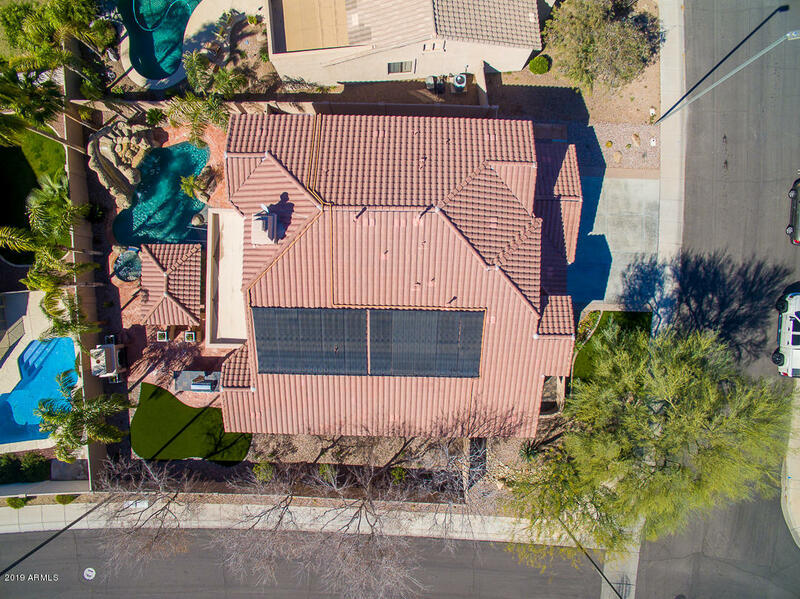 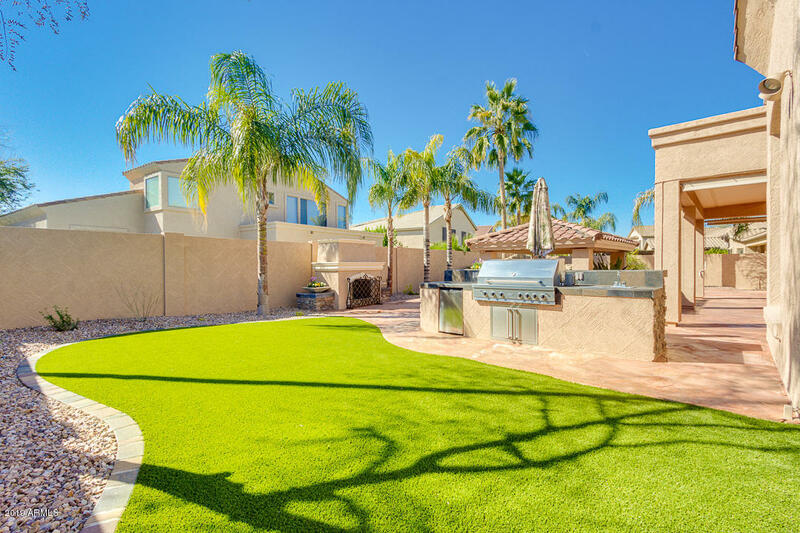 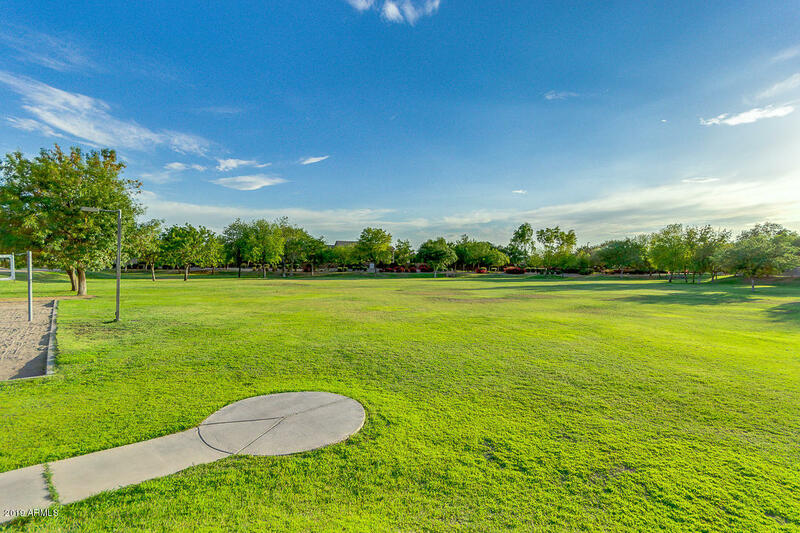 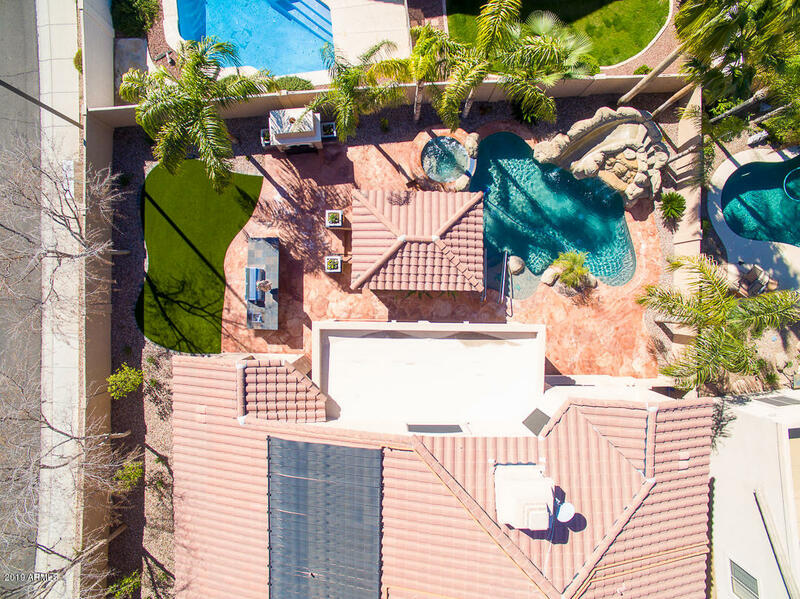 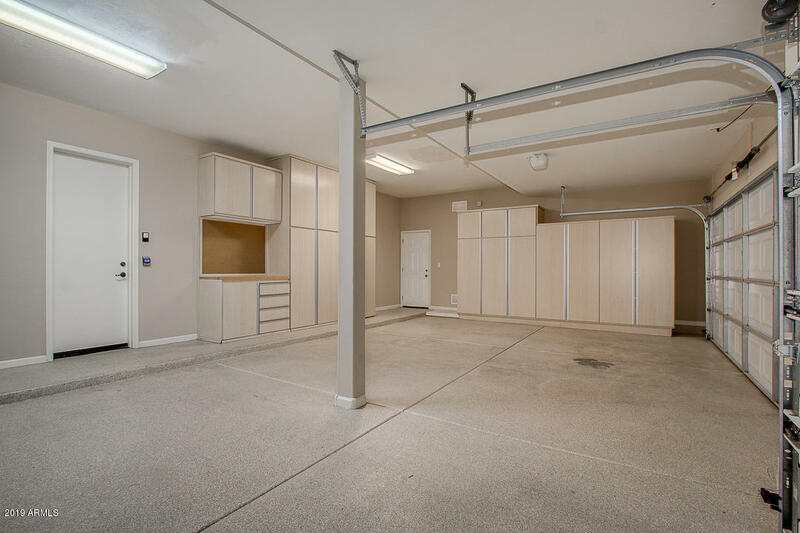 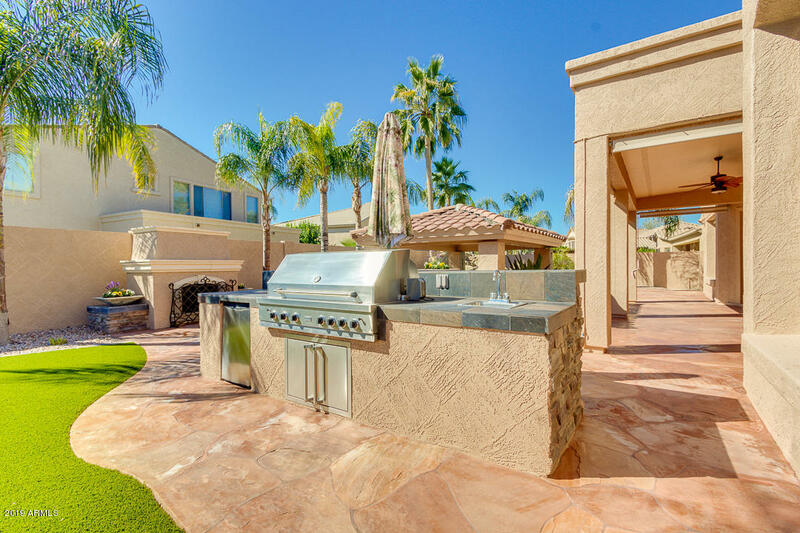 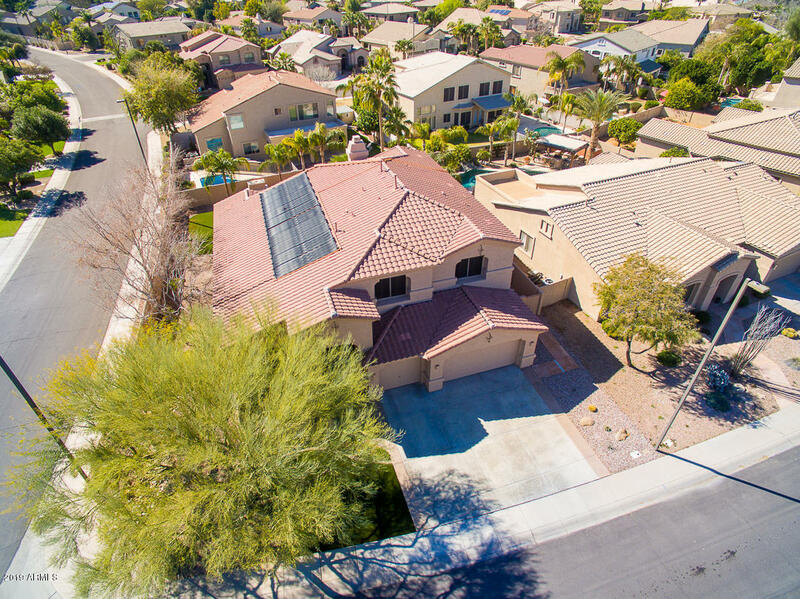 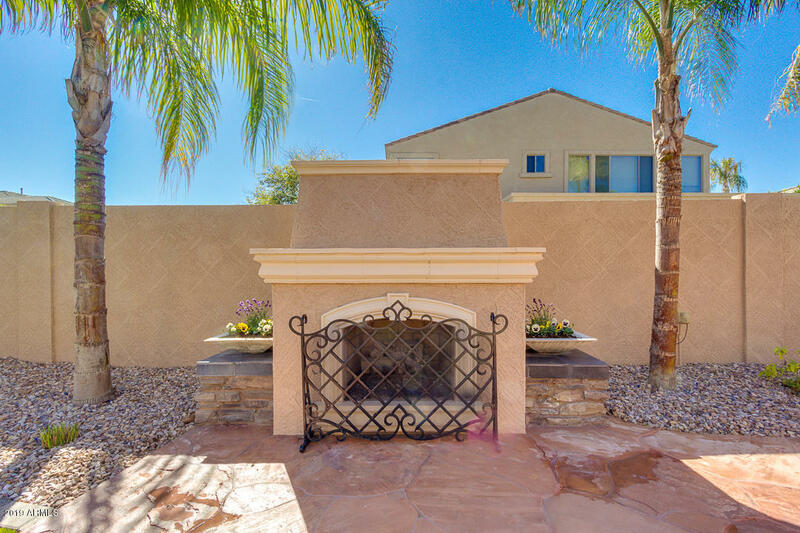 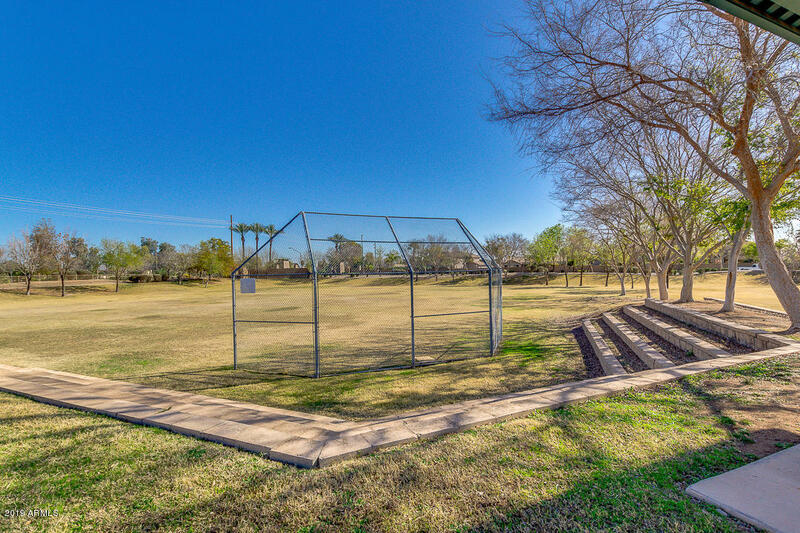 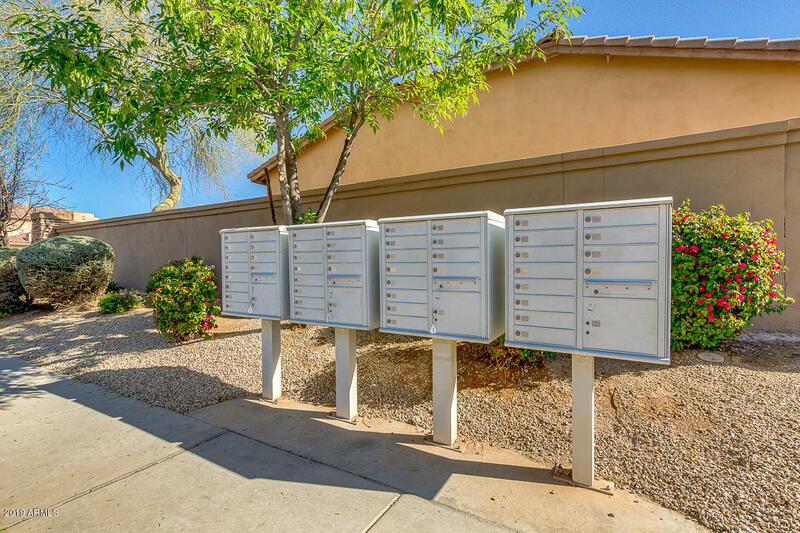 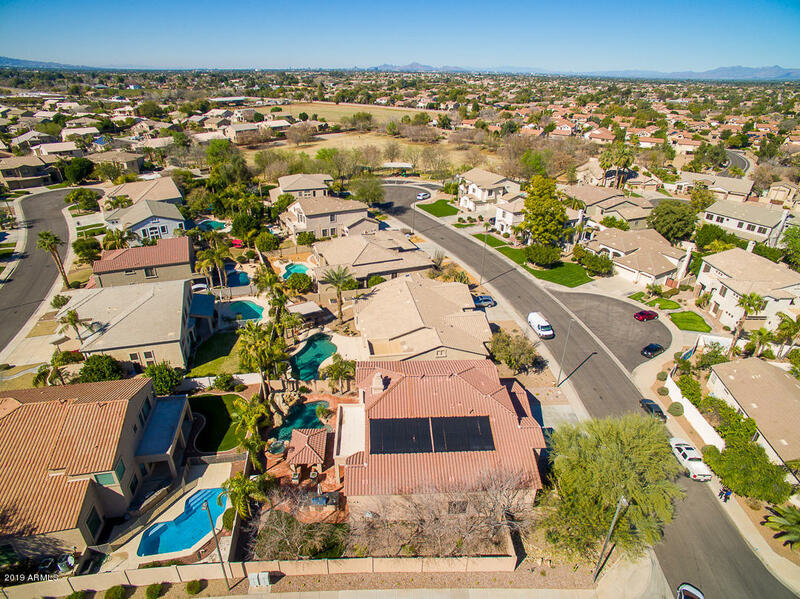 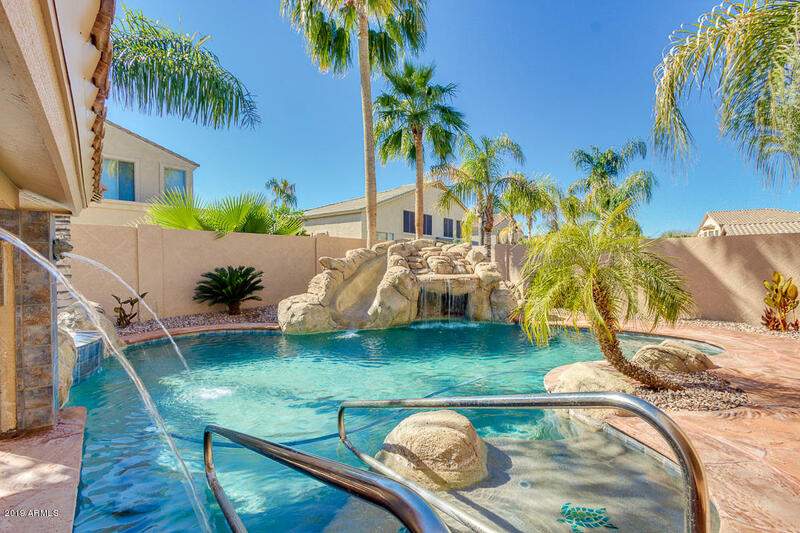 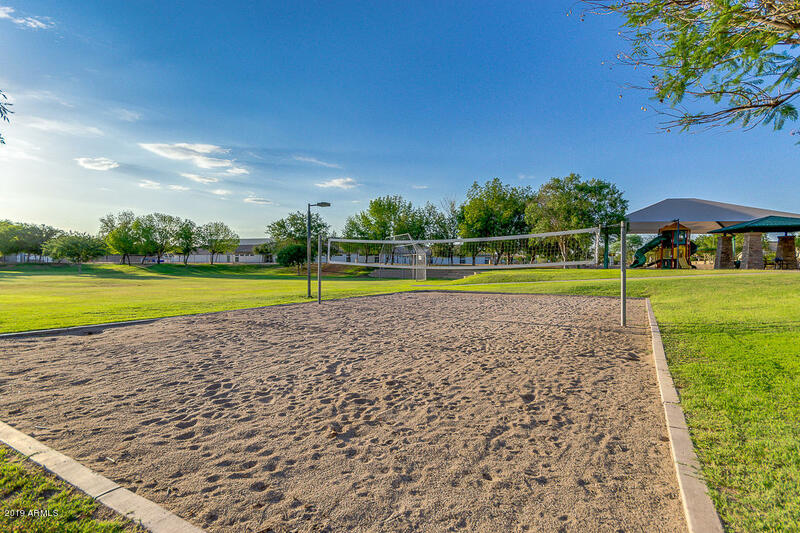 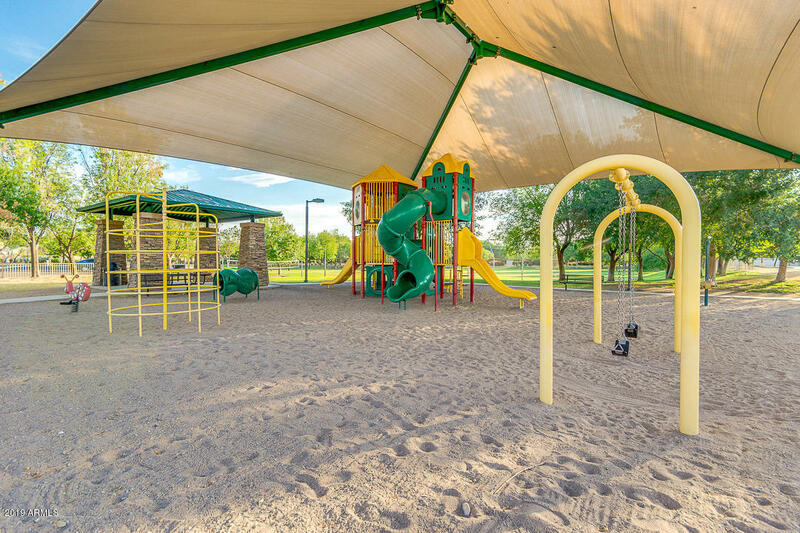 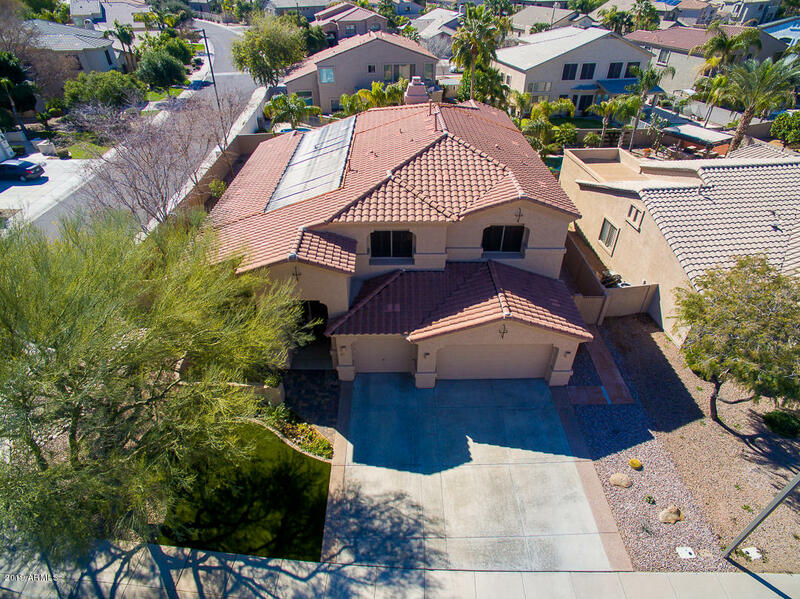 Immaculately-maintained, 3,552 sq ft, corner lot home on a quiet cul-de-sac in the highly-desirable Ashland Ranch community, a prime location close to shopping, restaurants, Loop 202 freeway, medical facilities and top-rated schools. 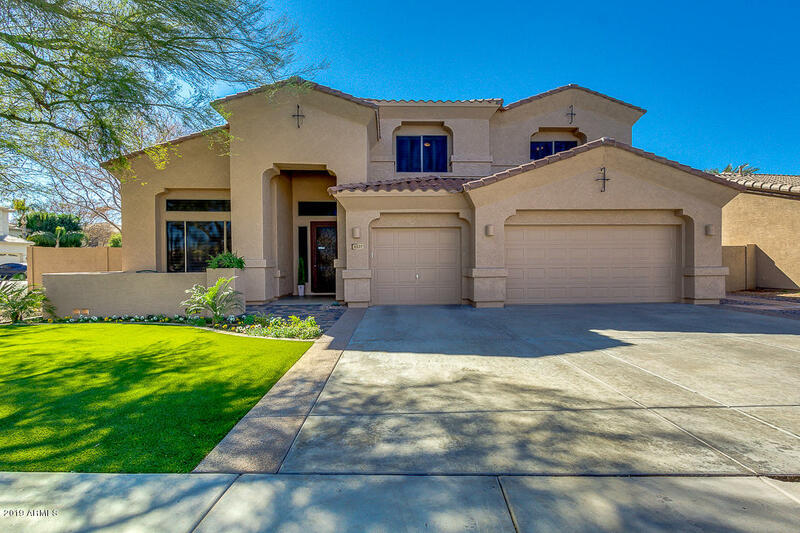 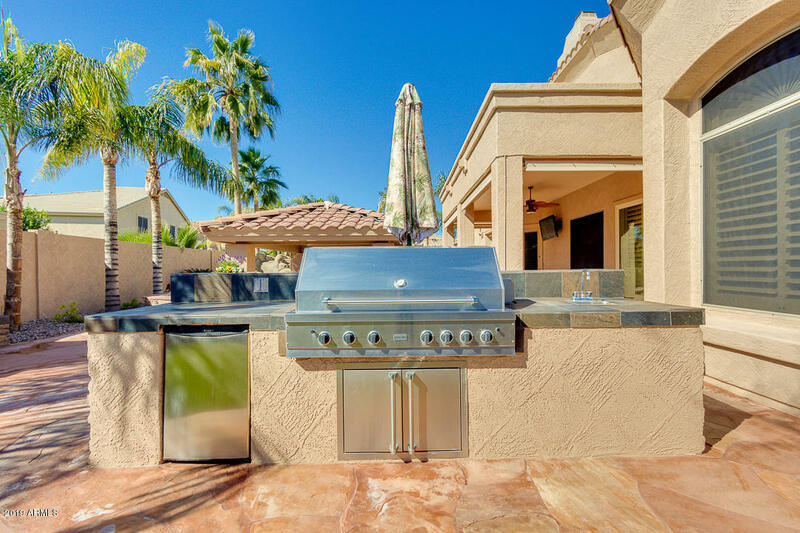 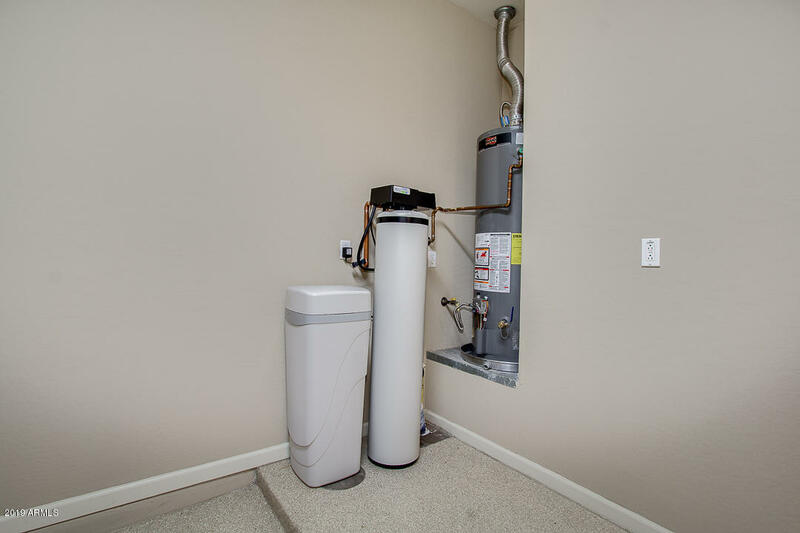 Move-in ready with lots of upgrades. 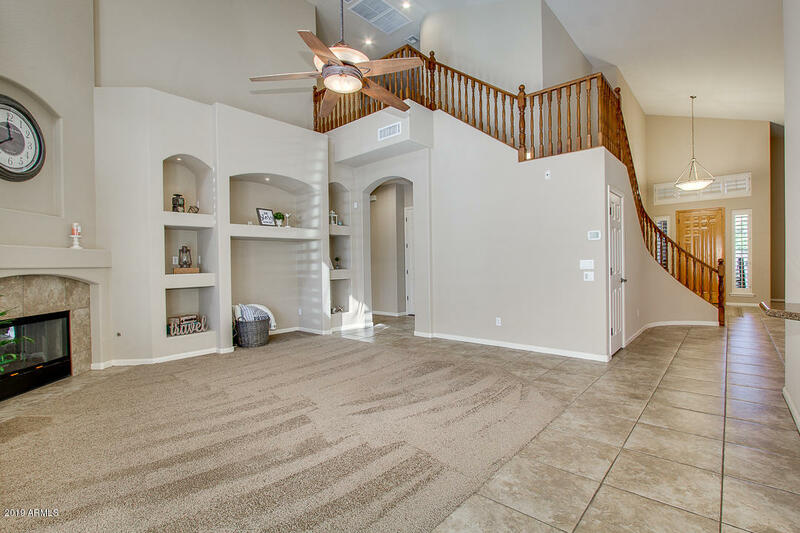 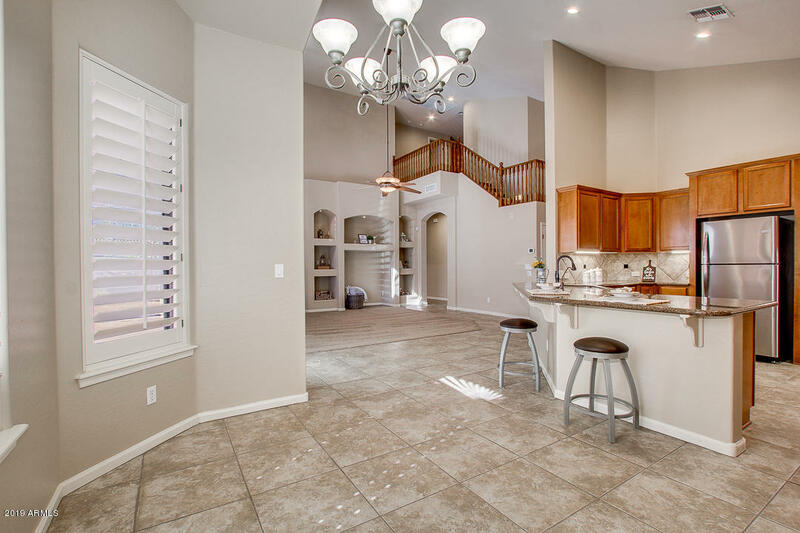 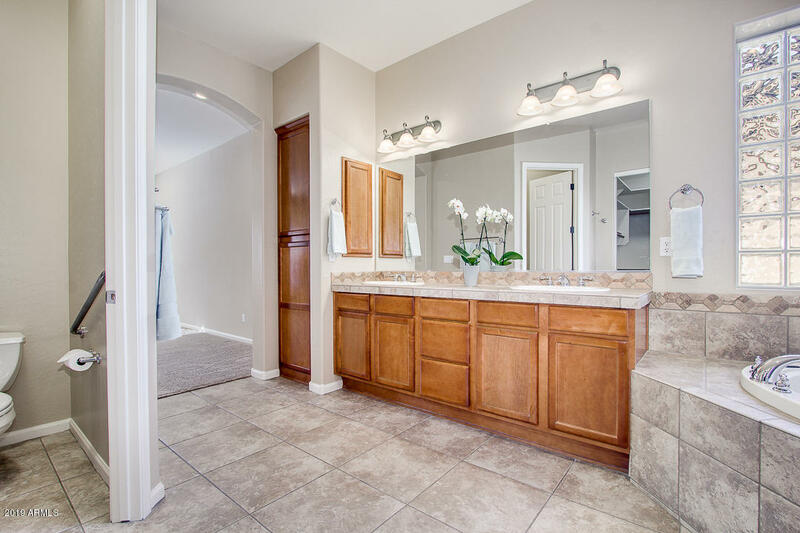 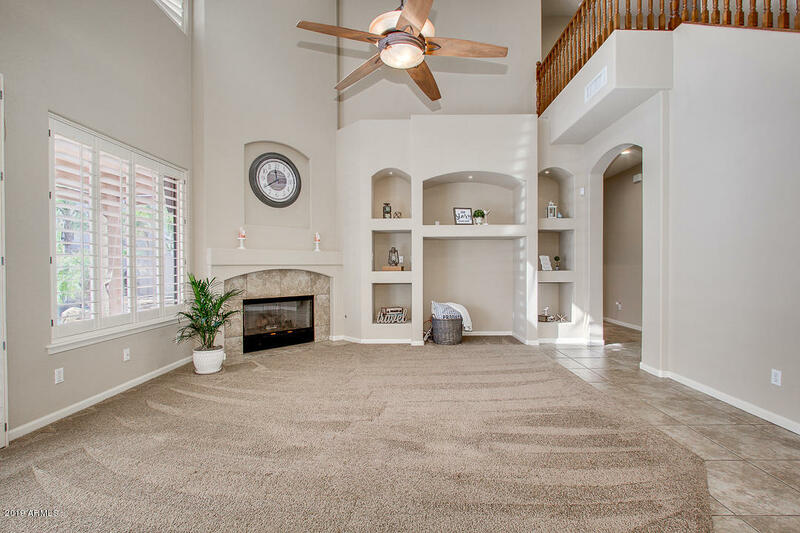 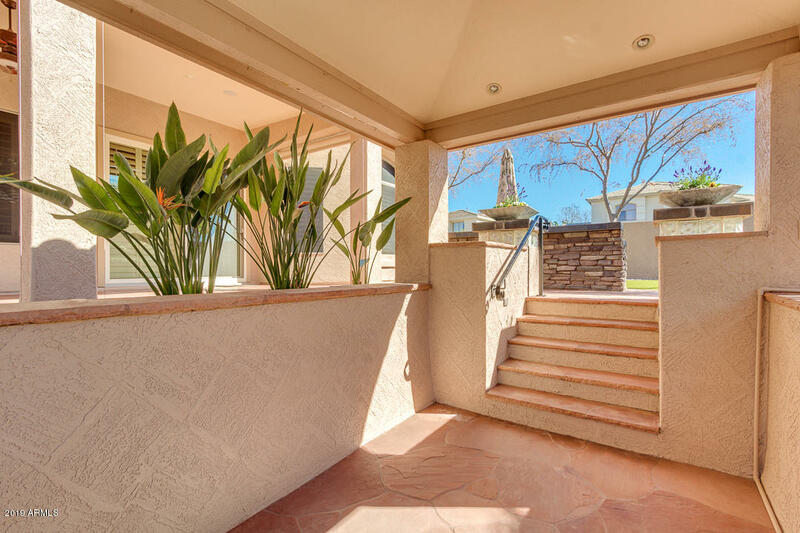 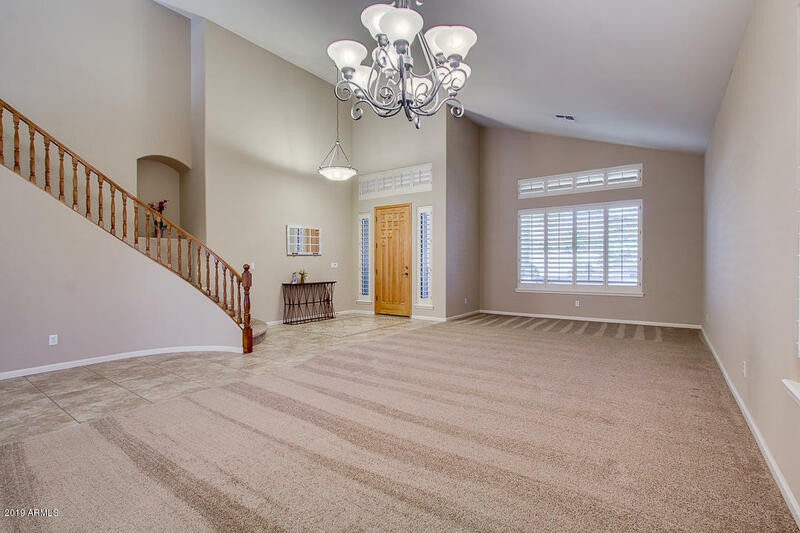 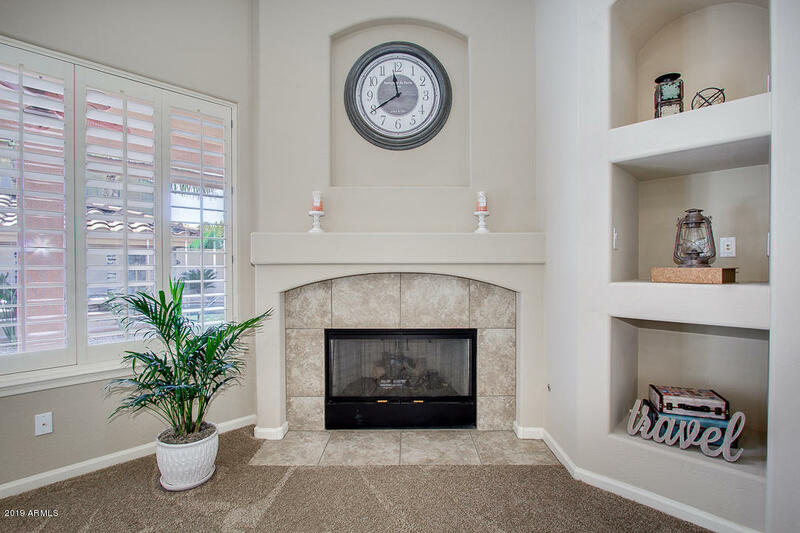 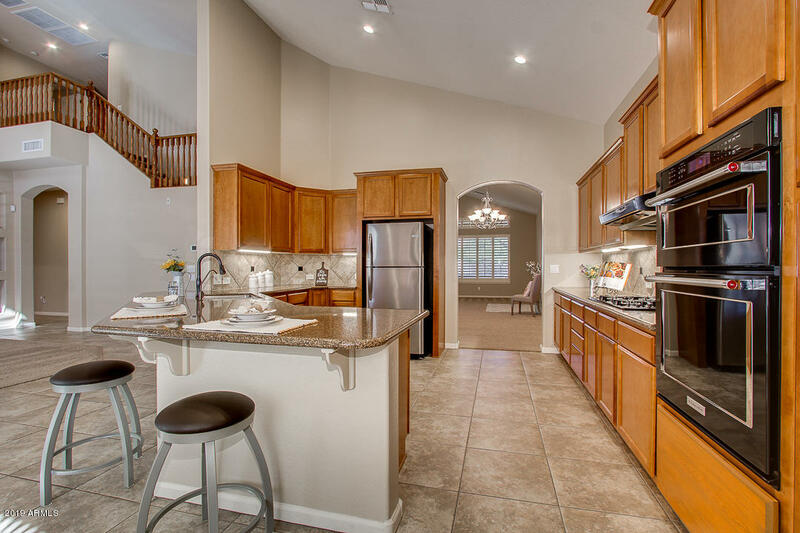 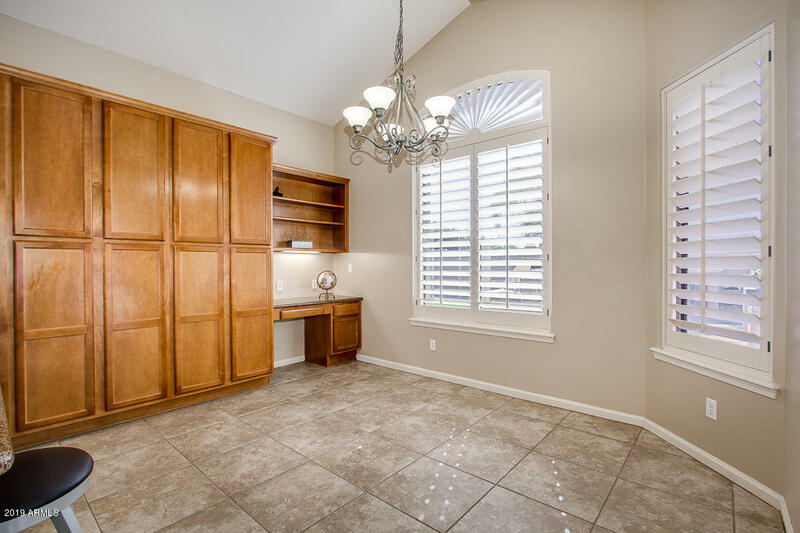 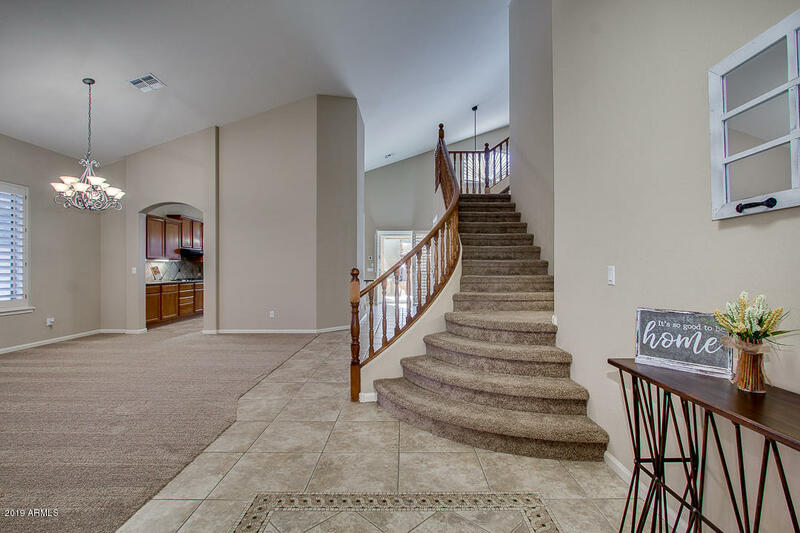 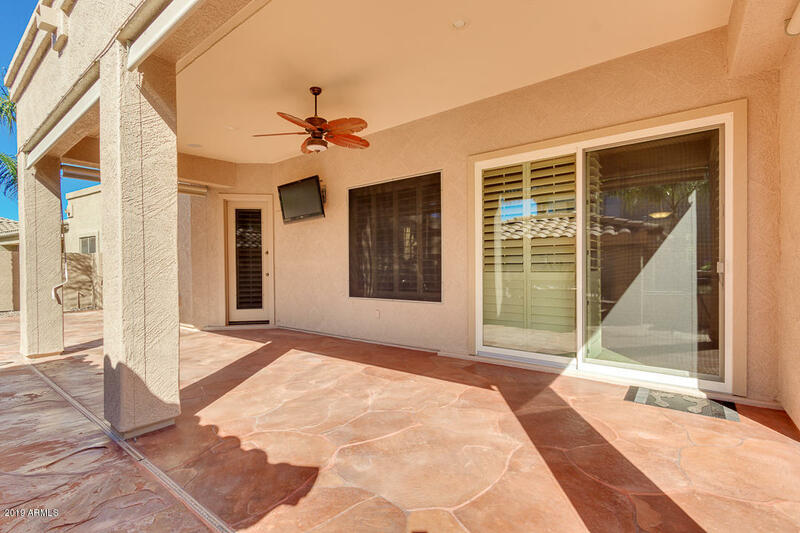 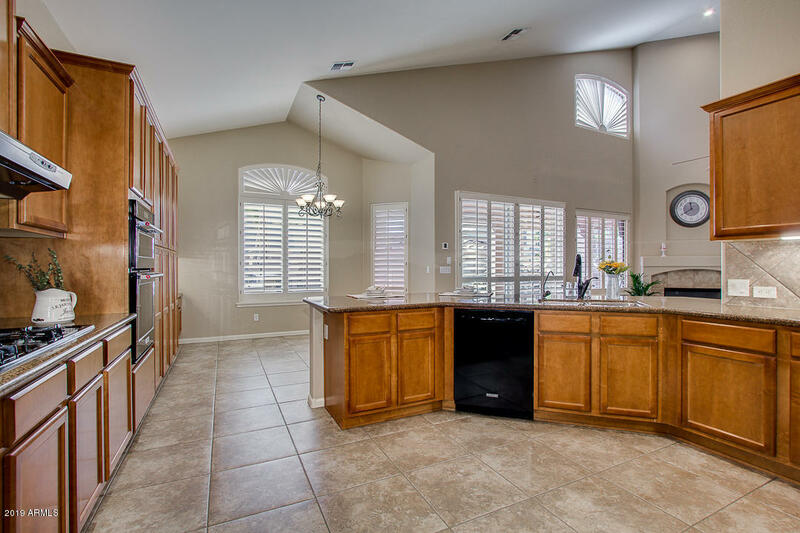 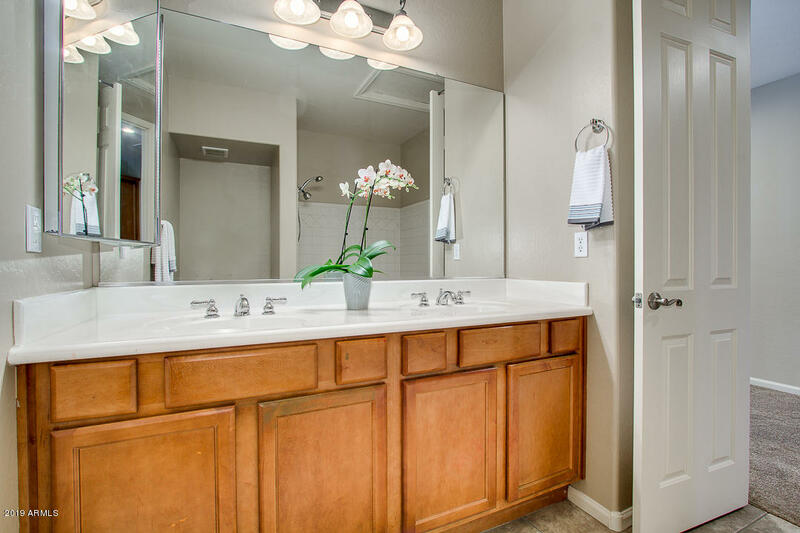 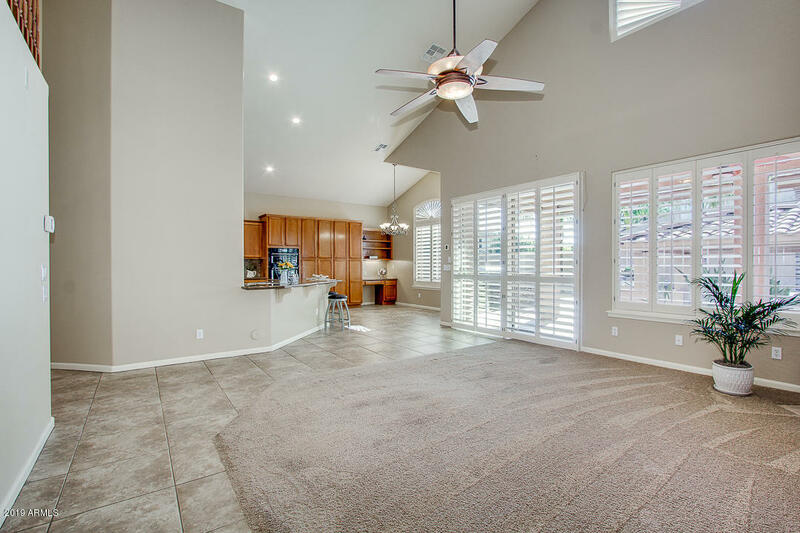 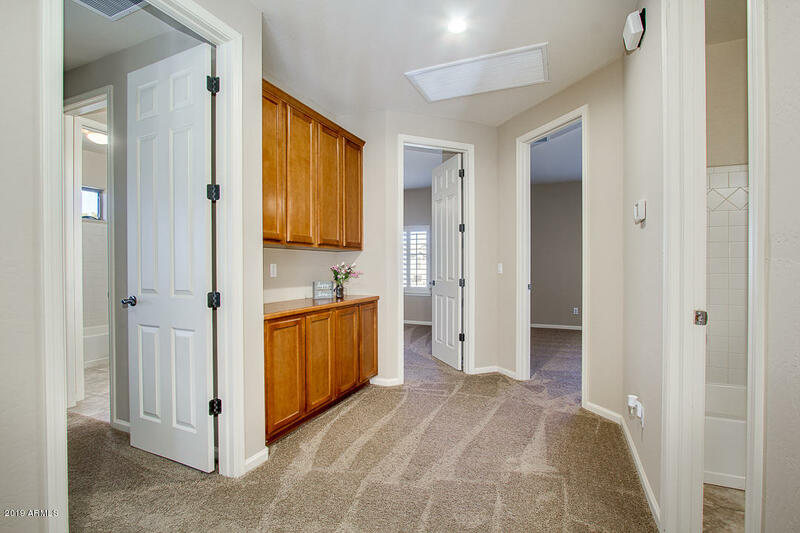 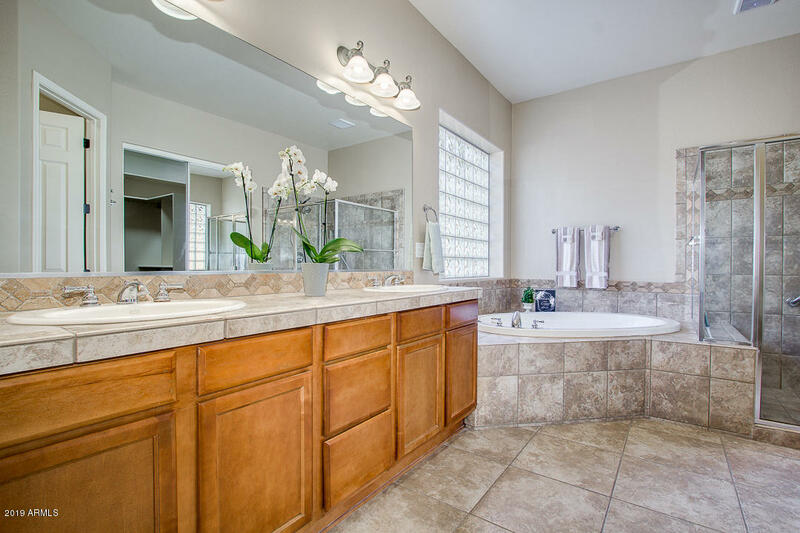 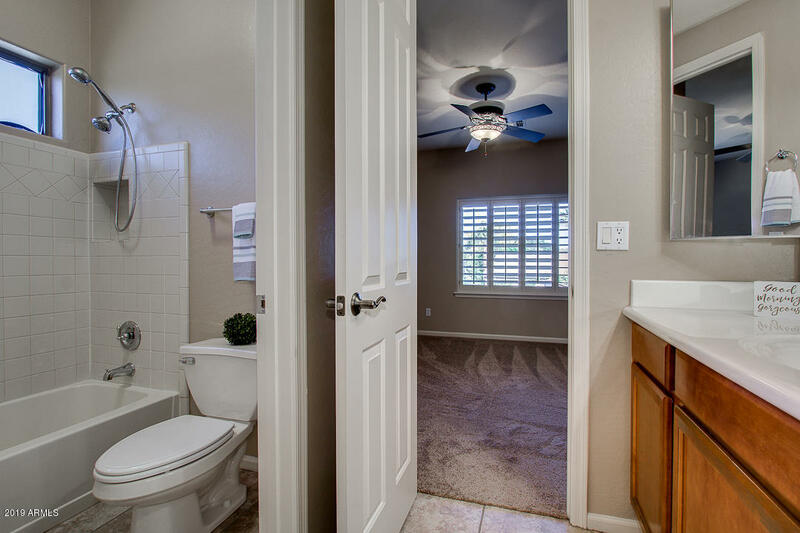 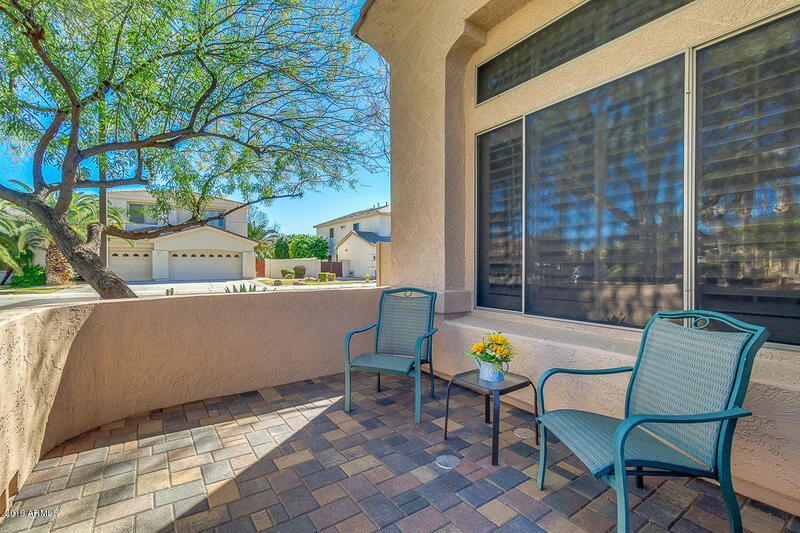 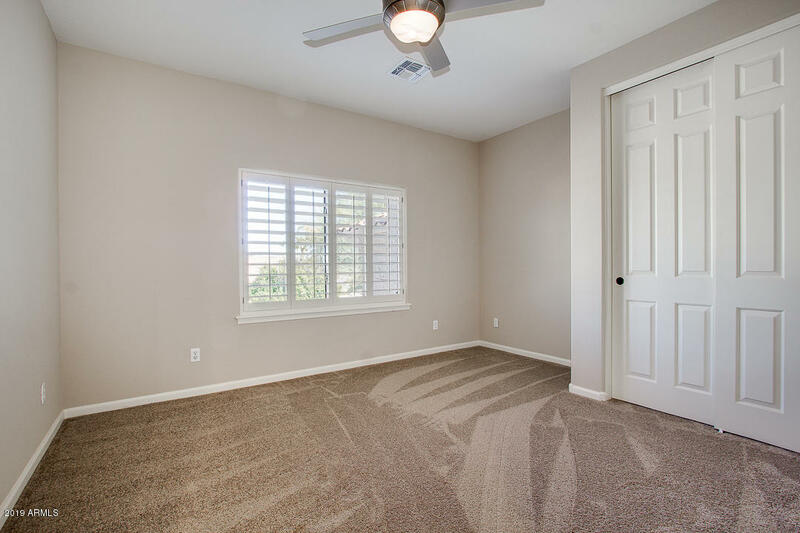 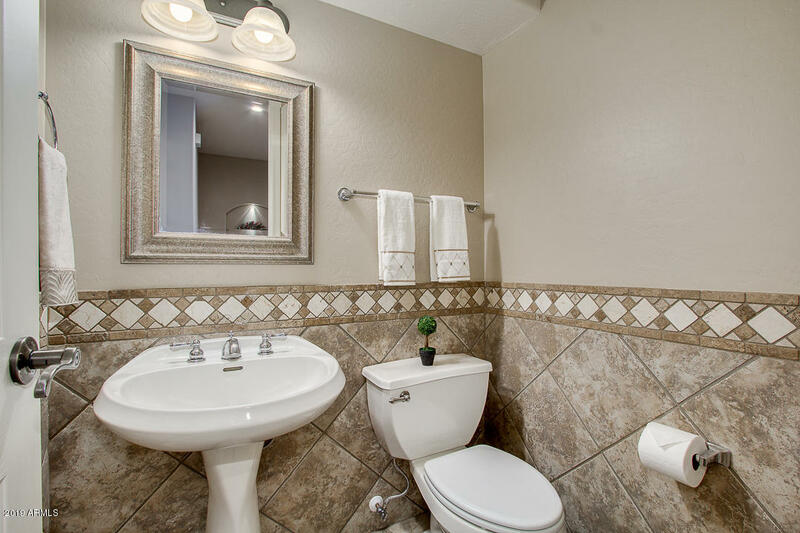 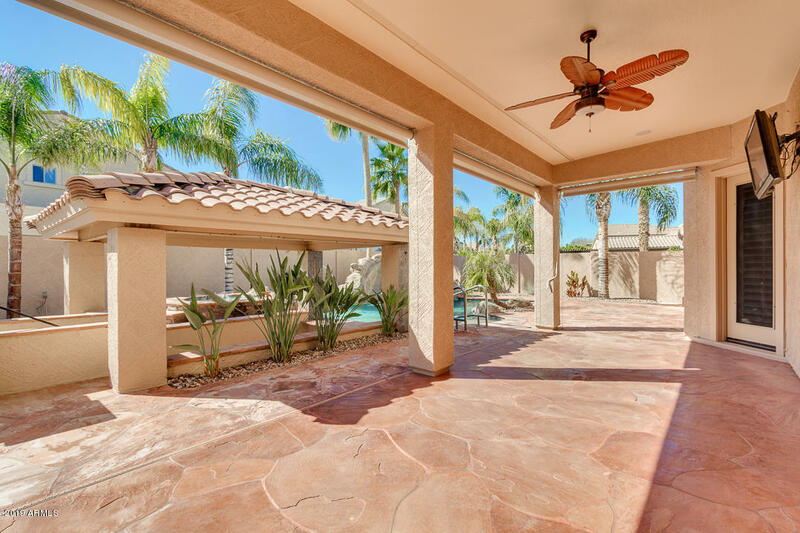 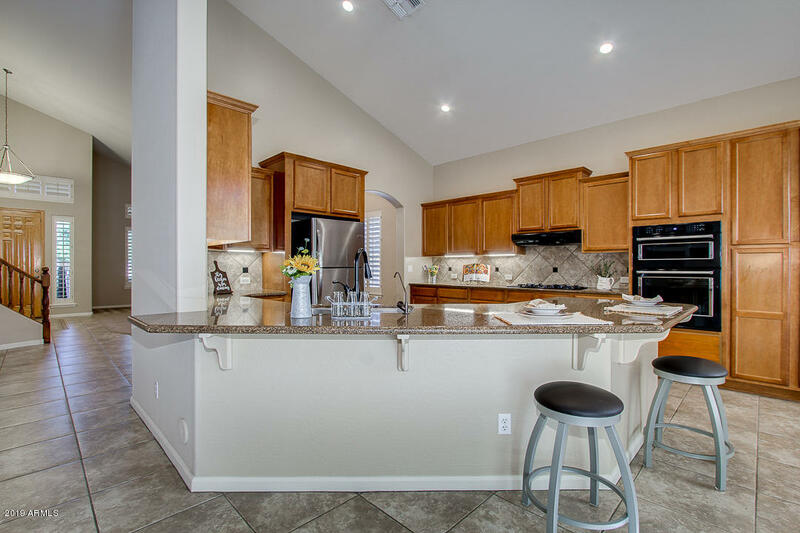 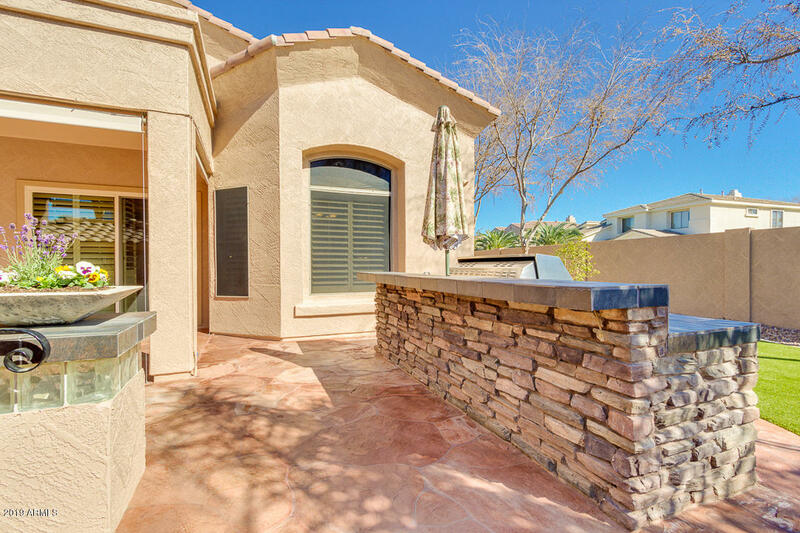 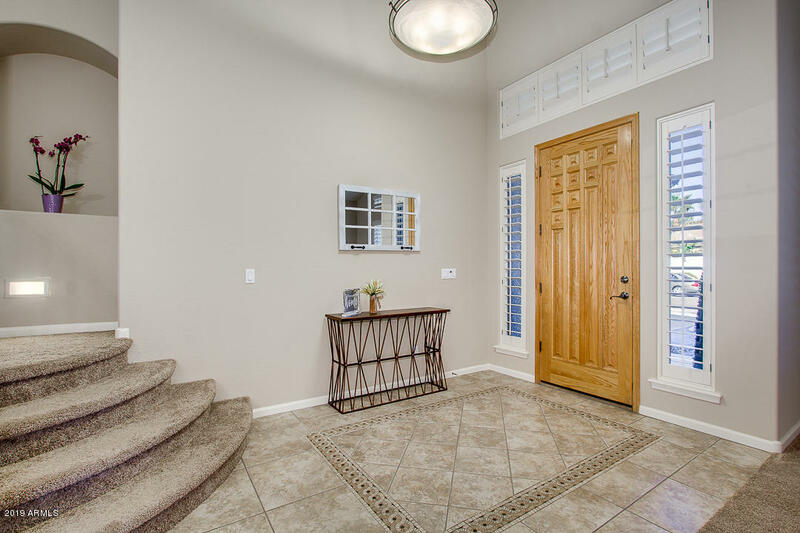 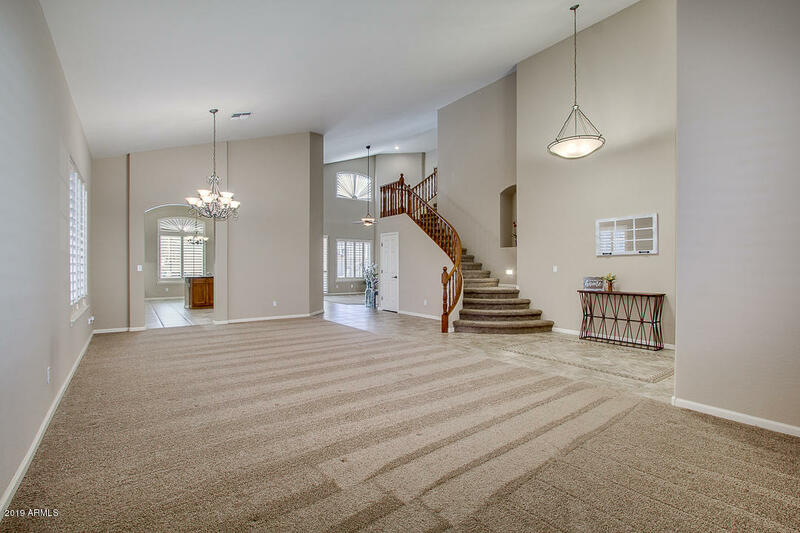 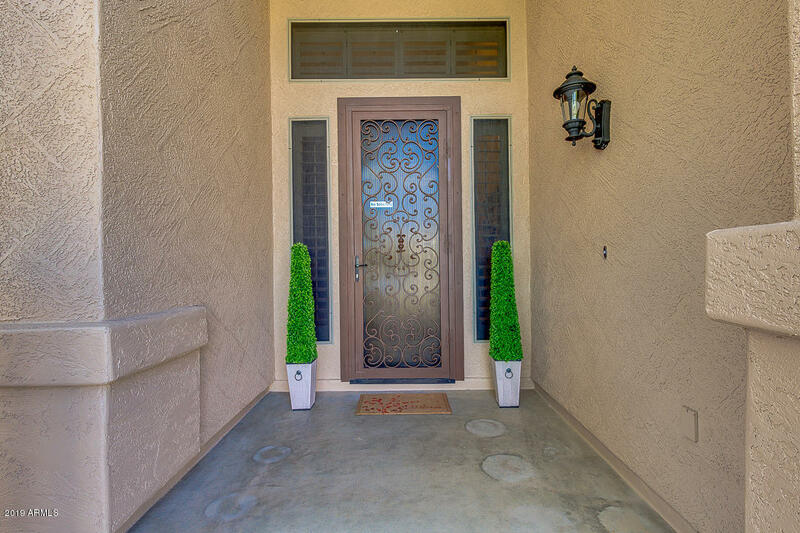 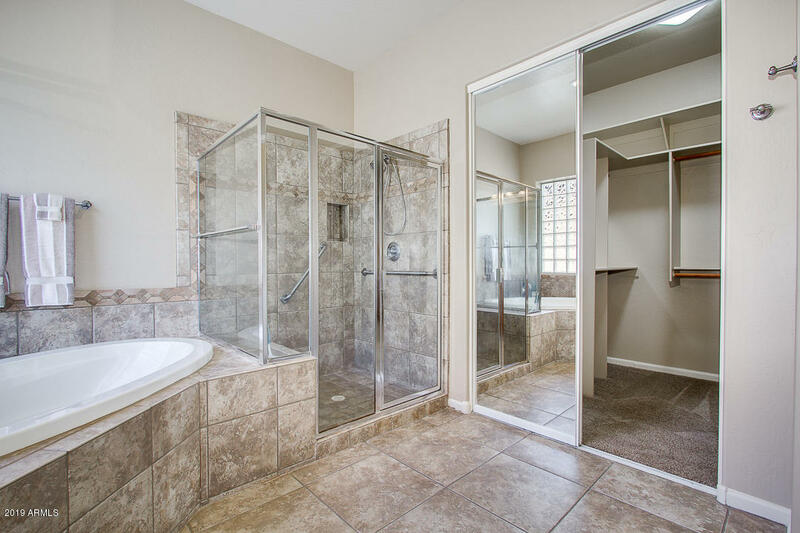 Step into a welcoming foyer with a mosaic tile floor and soaring ceilings! 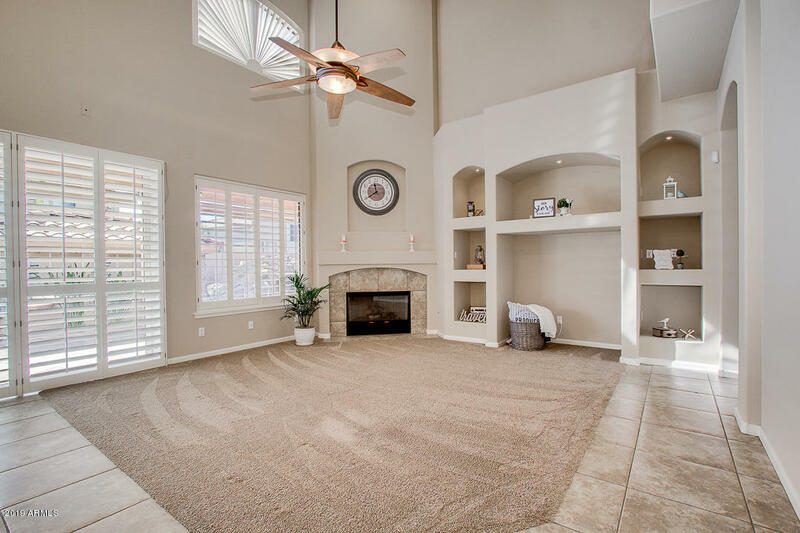 Entertain in the formal living and dining rooms and enjoy time in the family room with gas fireplace. 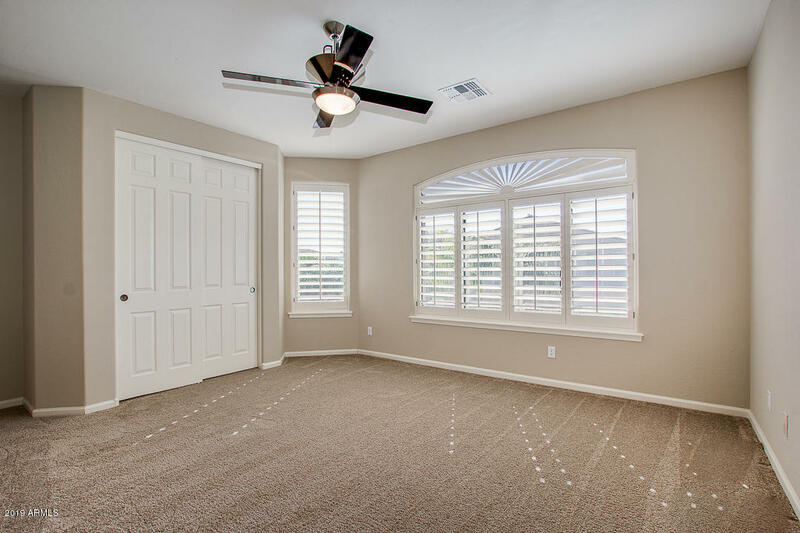 Plantation shutters throughout invite in ample natural light with elegance. 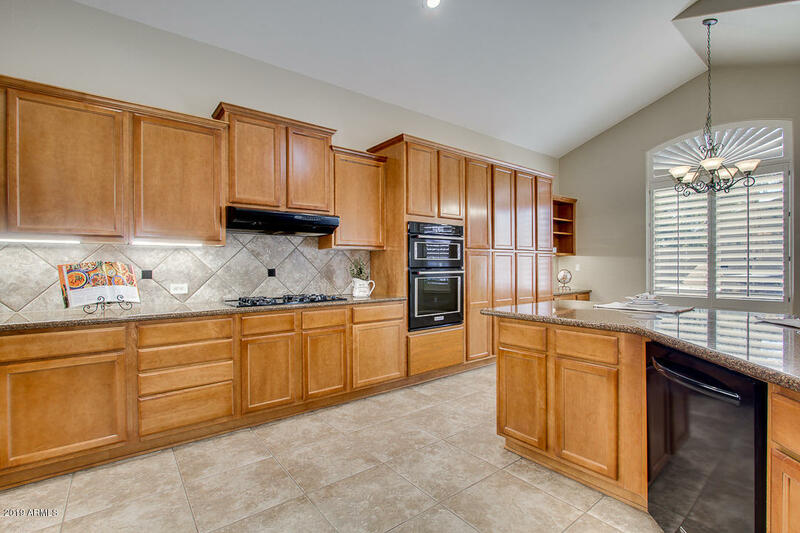 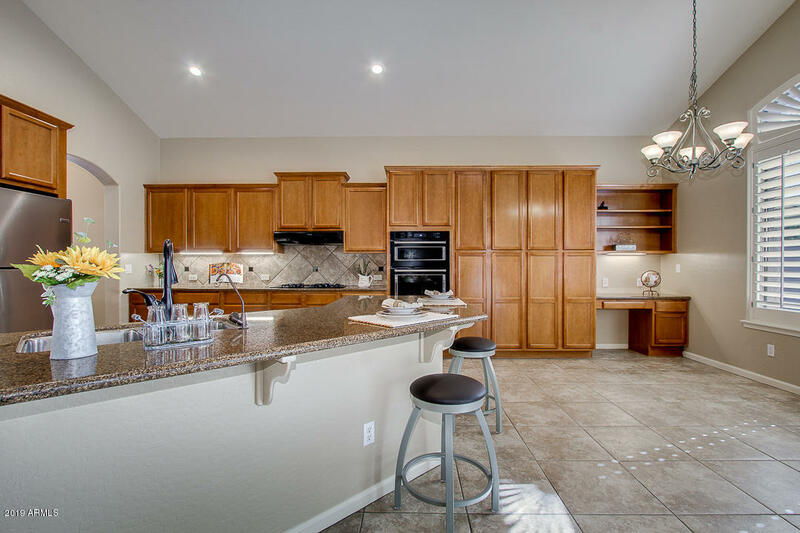 The kitchen has an immensely large number of cabinets, substantial granite counter space with an eat-at peninsula, a built-in desk and room for another dining area. 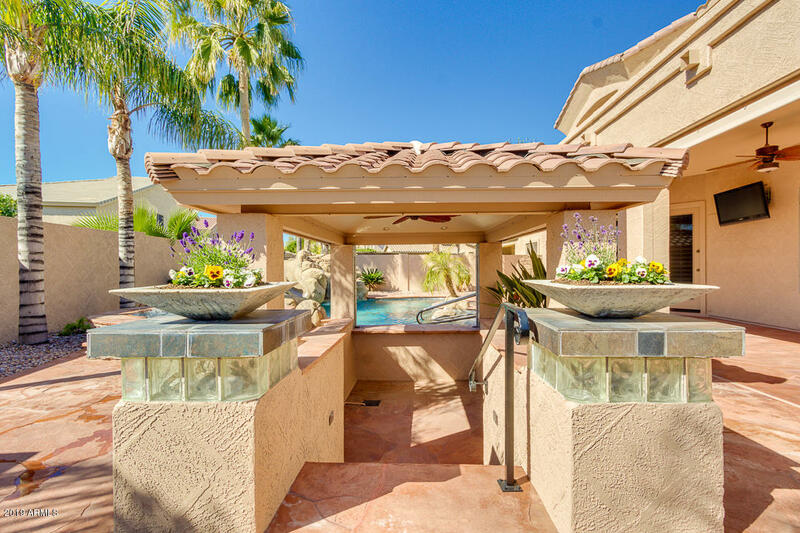 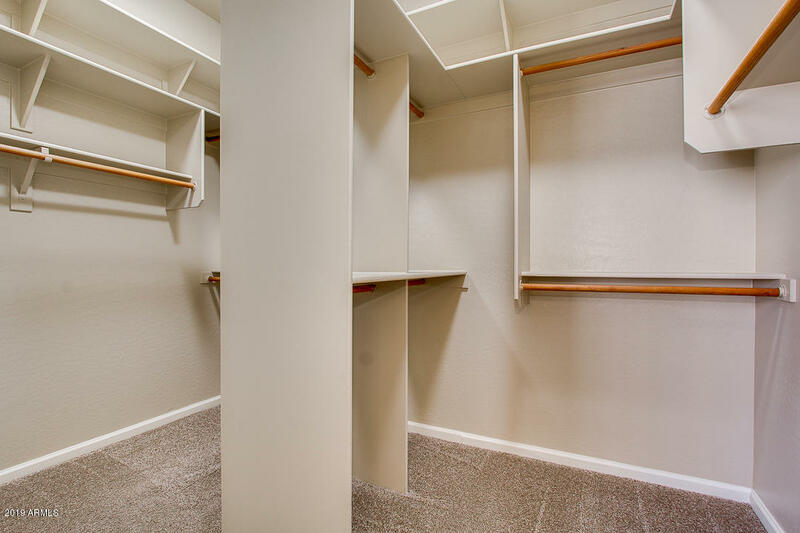 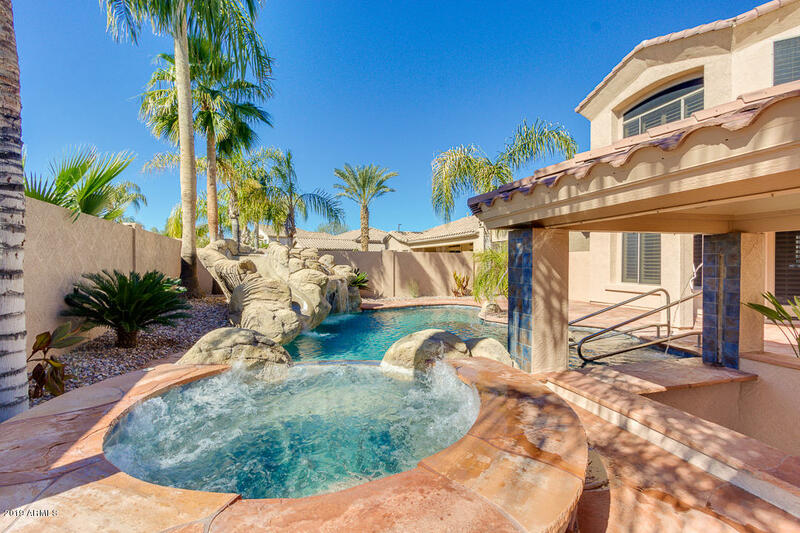 The first floor master suite has private access to the pool and spa and a bathroom..